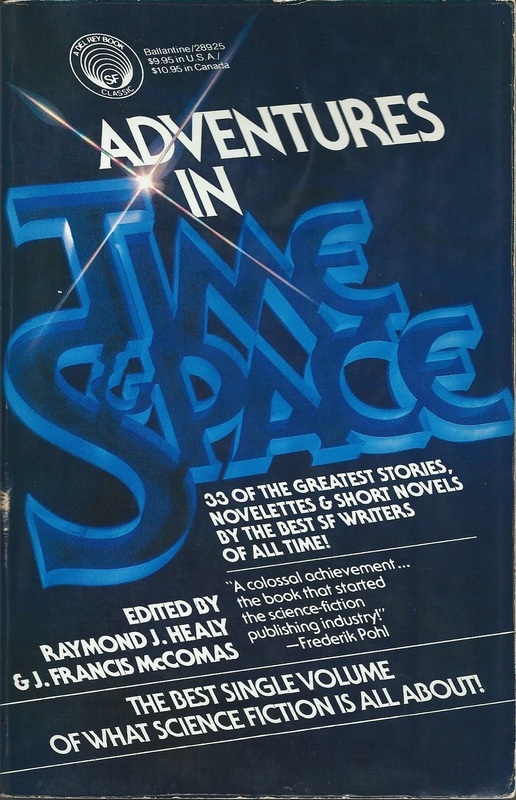 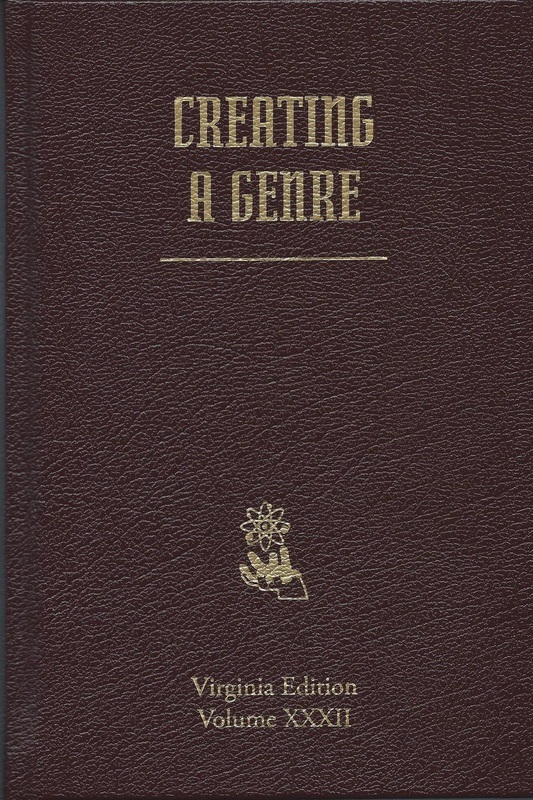 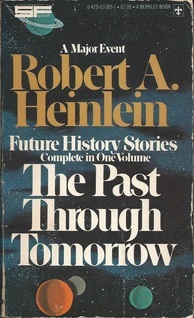 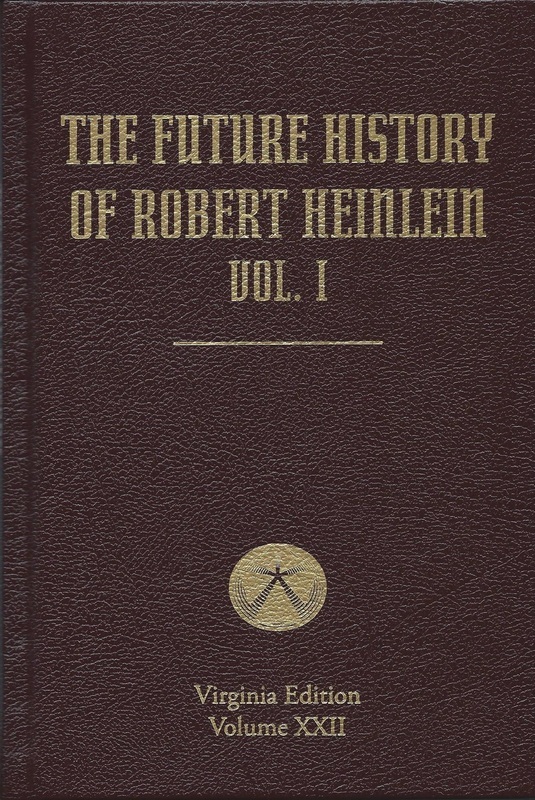 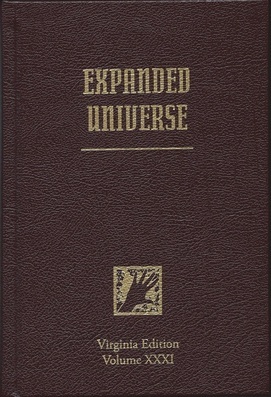 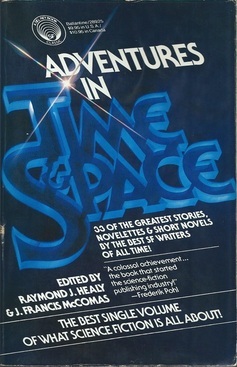 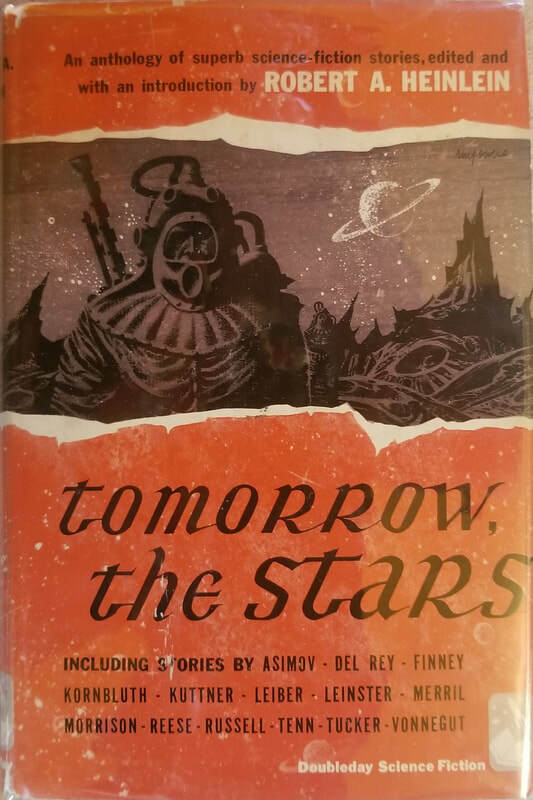 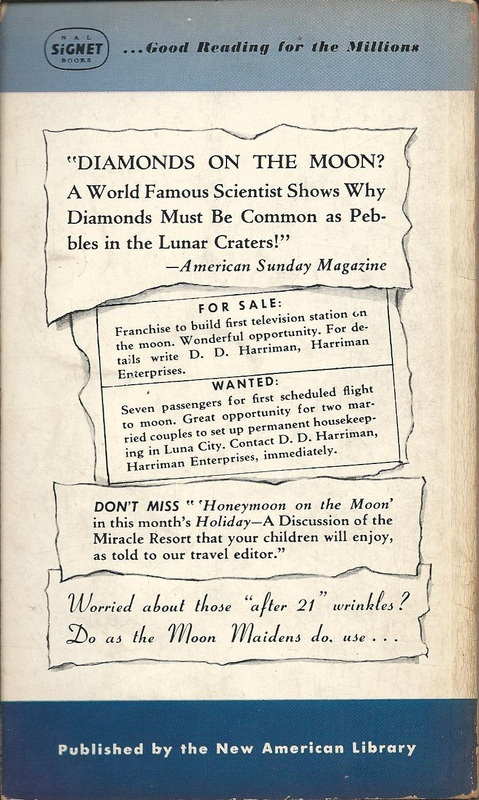 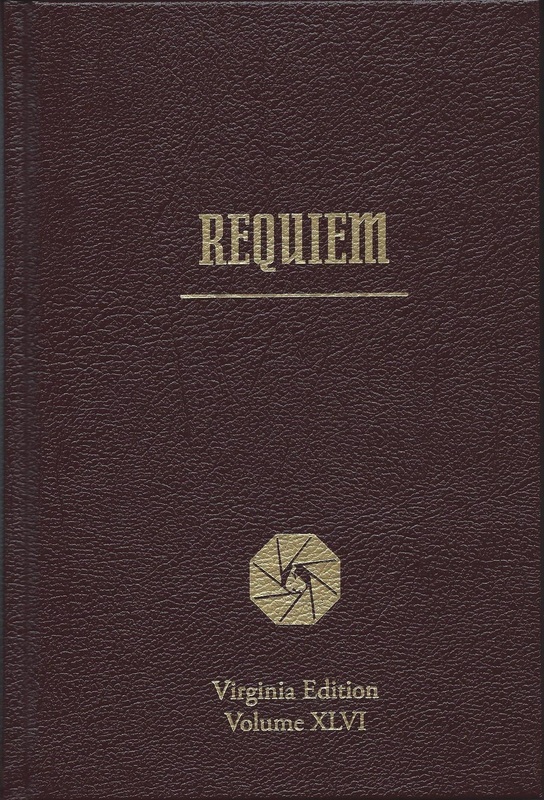 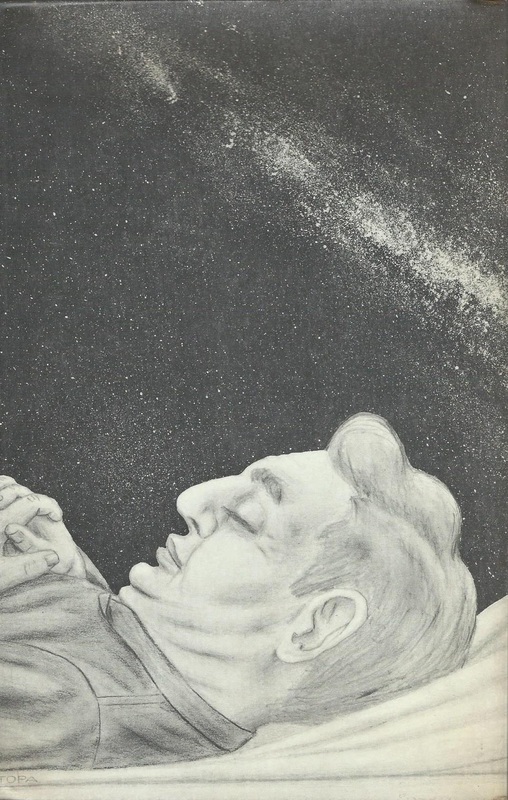 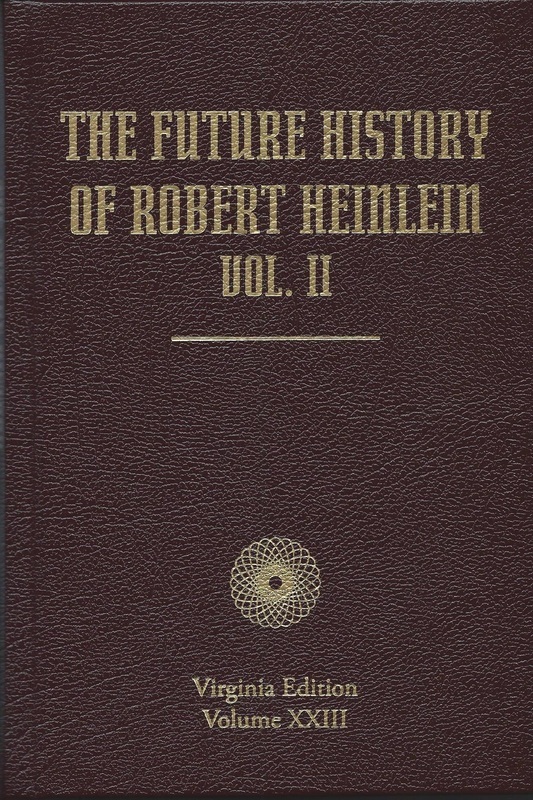 This page shows four types of books: the singular anthology of Tomorrow the Stars, which drew together other authors’ stories under Heinlein’s editorship; the various Heinlein books—including Virginia Edition volumes of Future History and other early stories—containing several stories which usually had been published earlier in magazines; posthumous books of correspondence, namely Grumbles from the Grave and then the three volumes of the Virginia Edition that feature a whopping 450,000 words of Heinlein’s letters; and other editors’ anthologies that contain works of Heinlein. 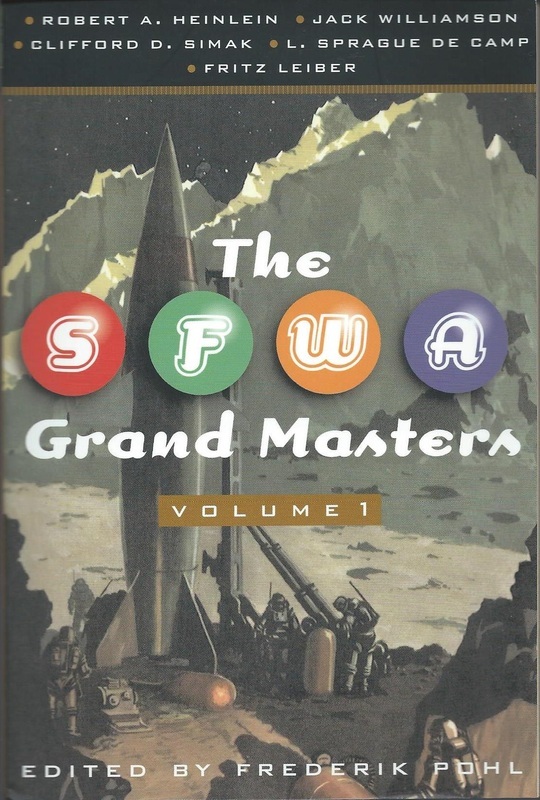 Perhaps I should have considered Waldo and Magic, Inc. as being a collection, since it contains two novellas...but I didn’t; for that one you’ll simply have to go back to my “Earlier Adult Works” page. 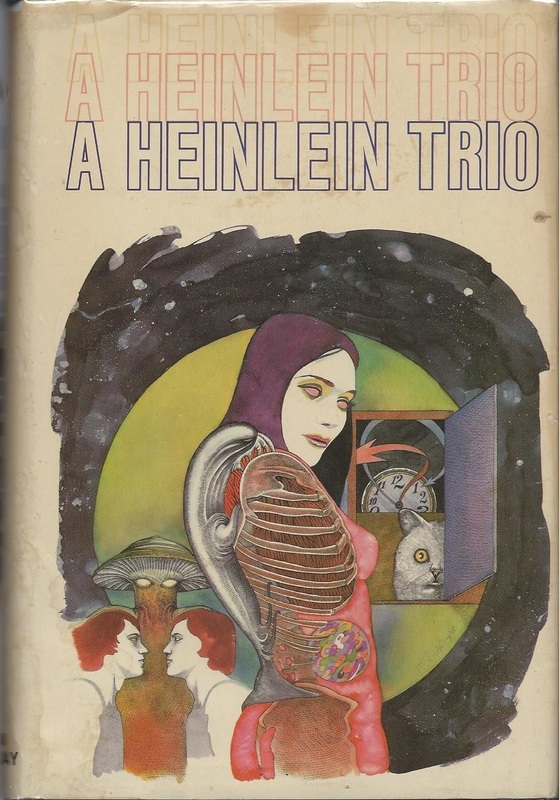 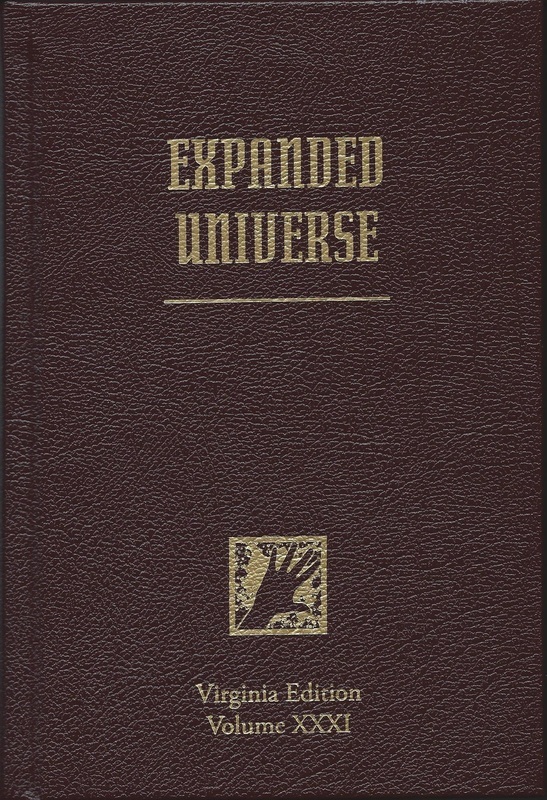 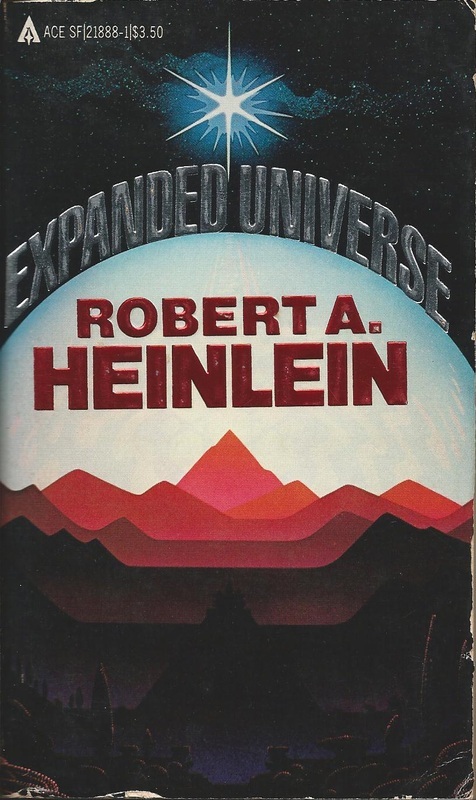 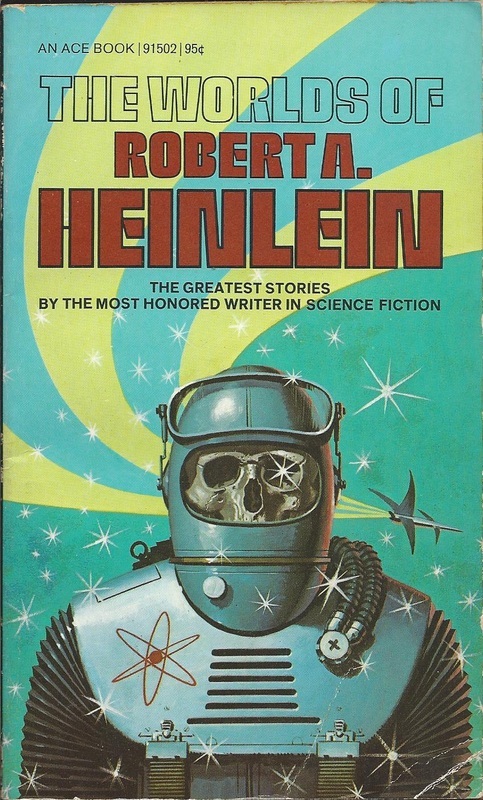 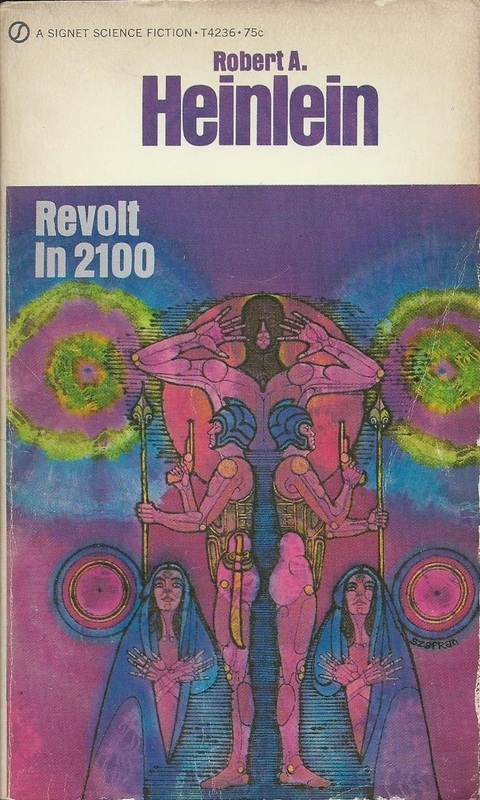 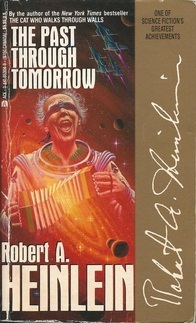 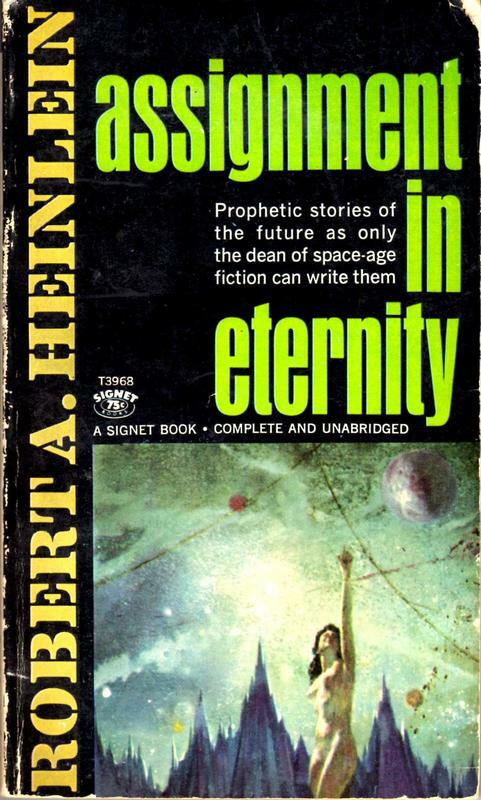 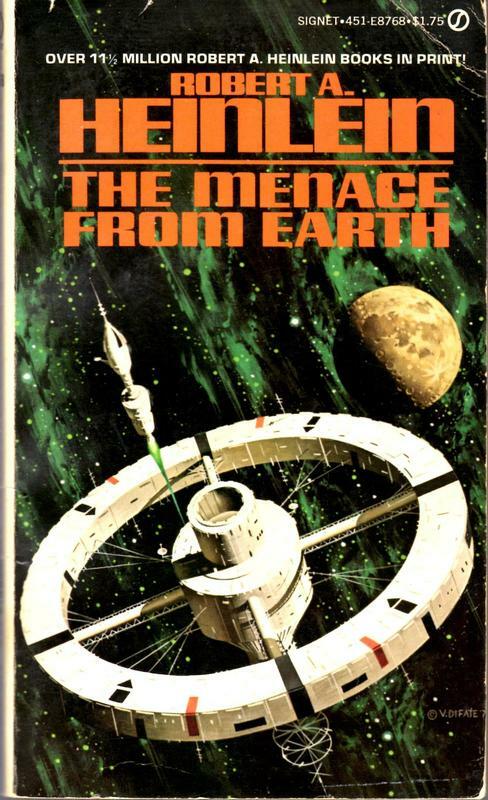 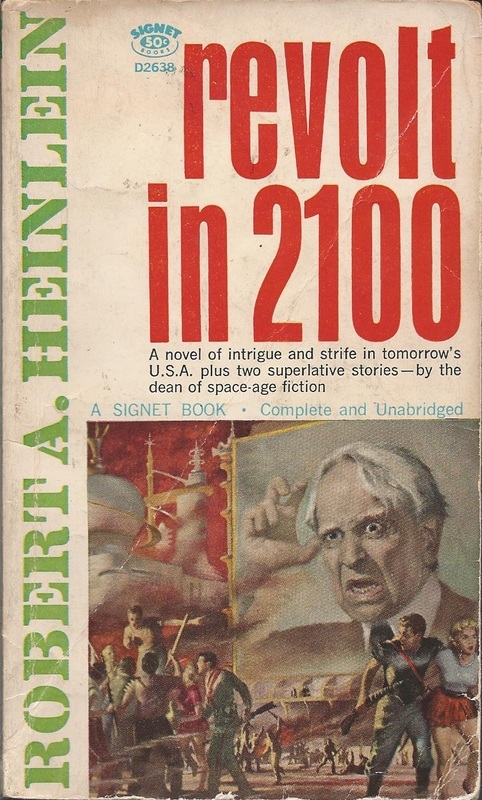 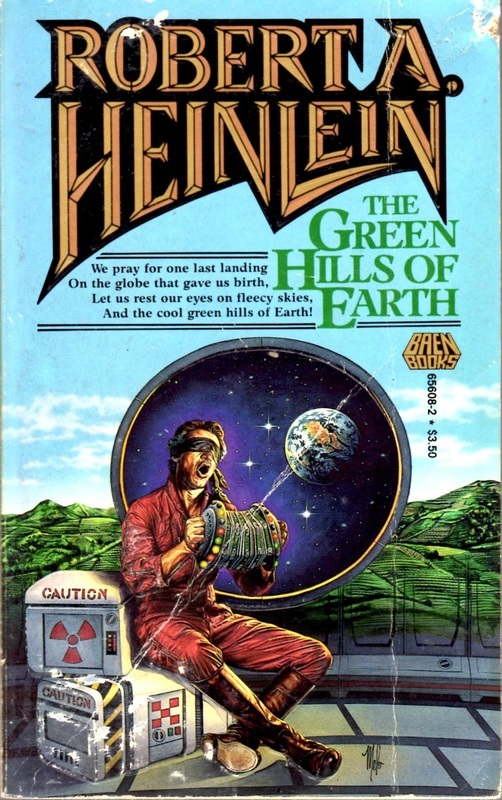 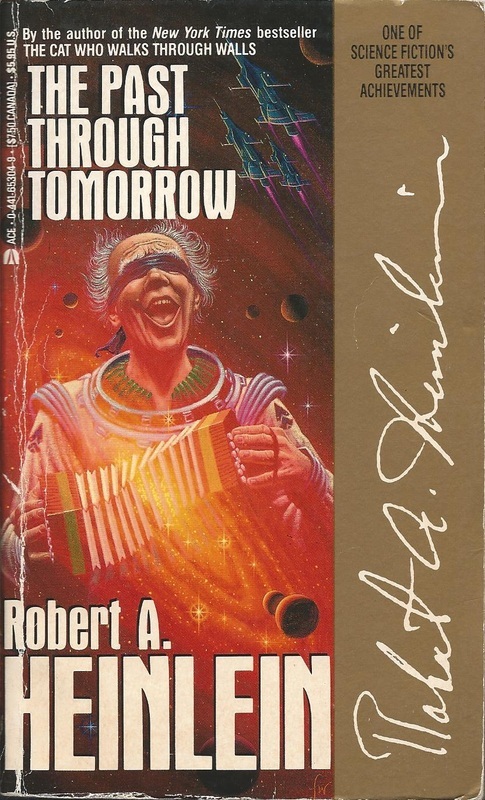 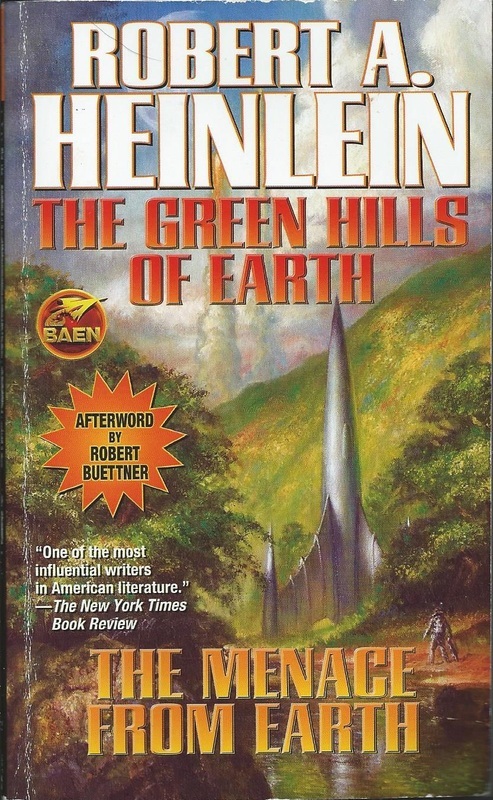 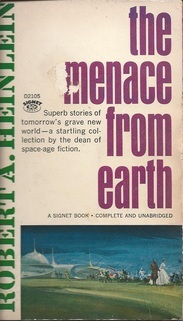 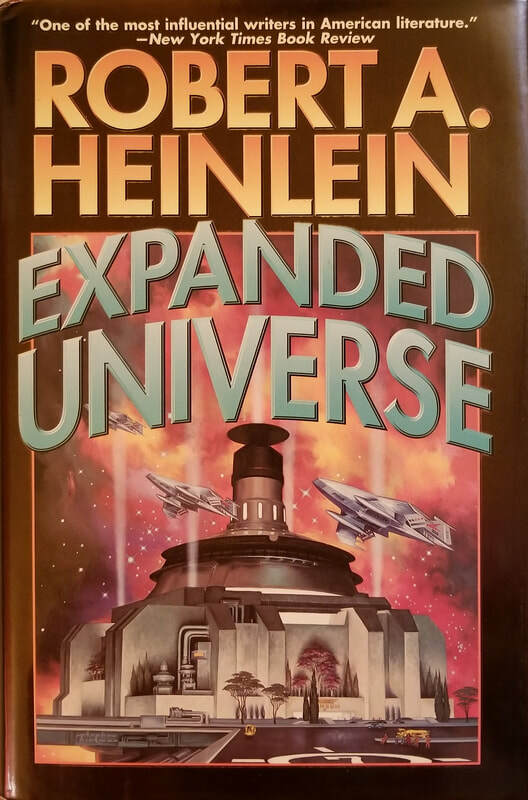 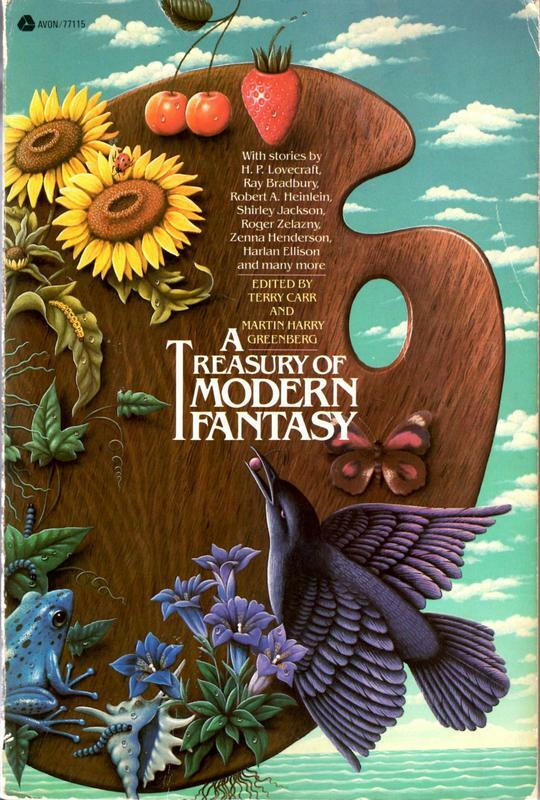 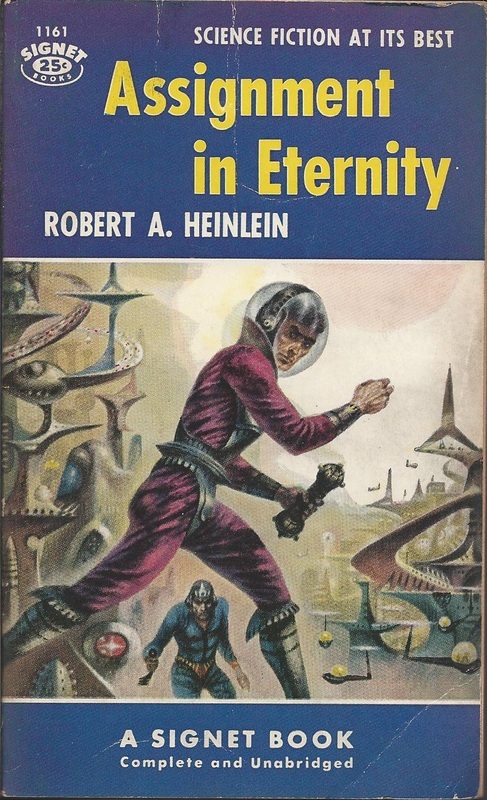 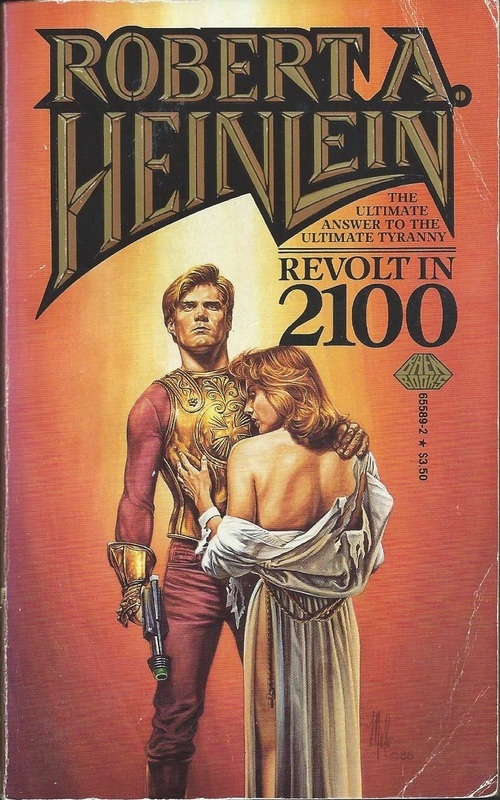 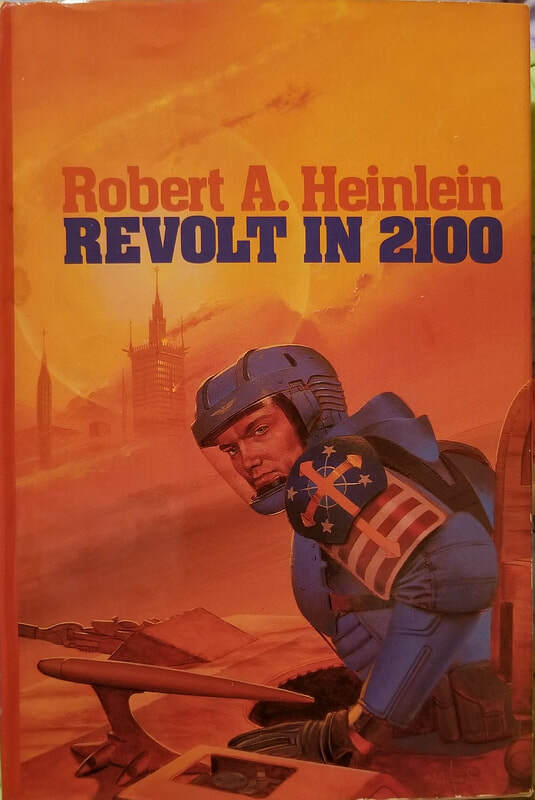 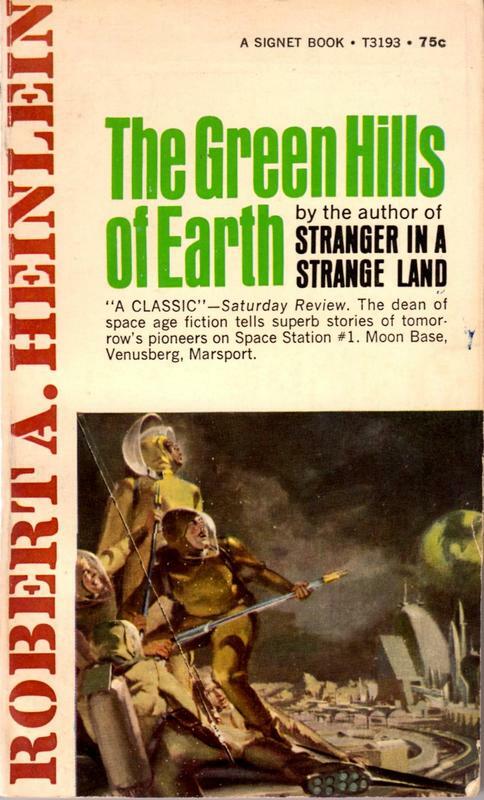 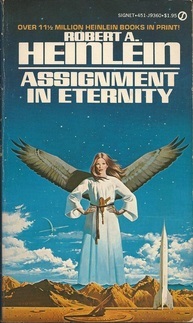 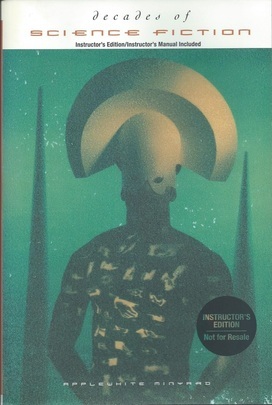 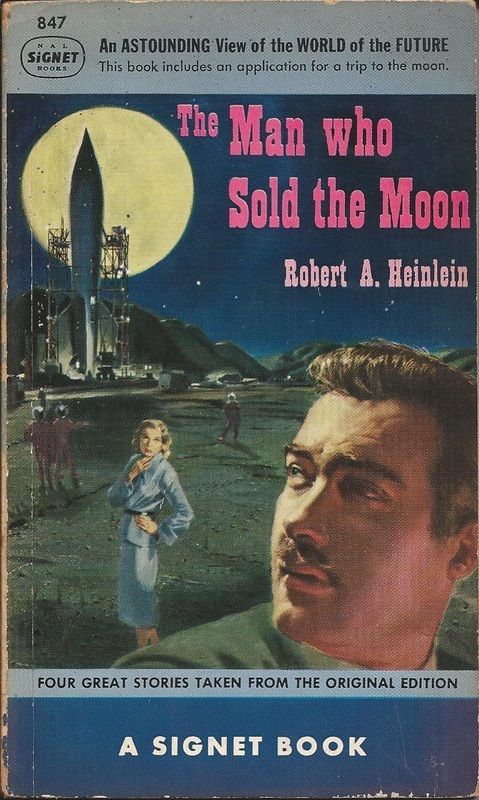 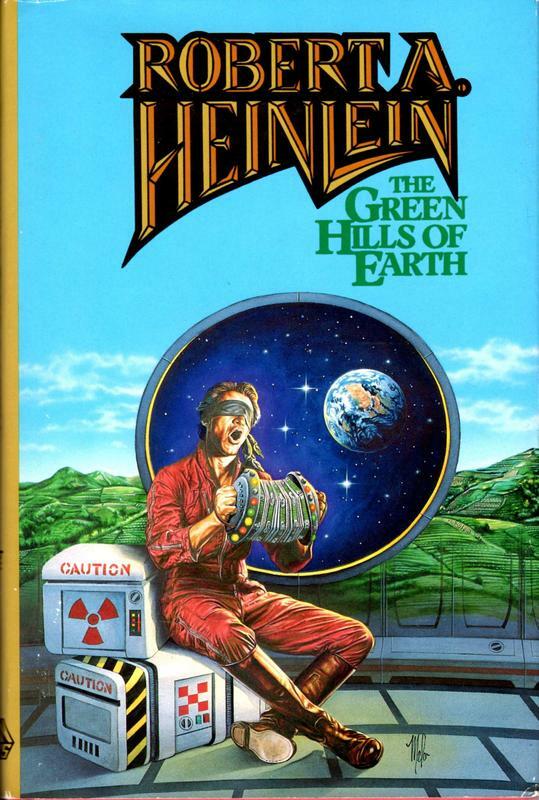 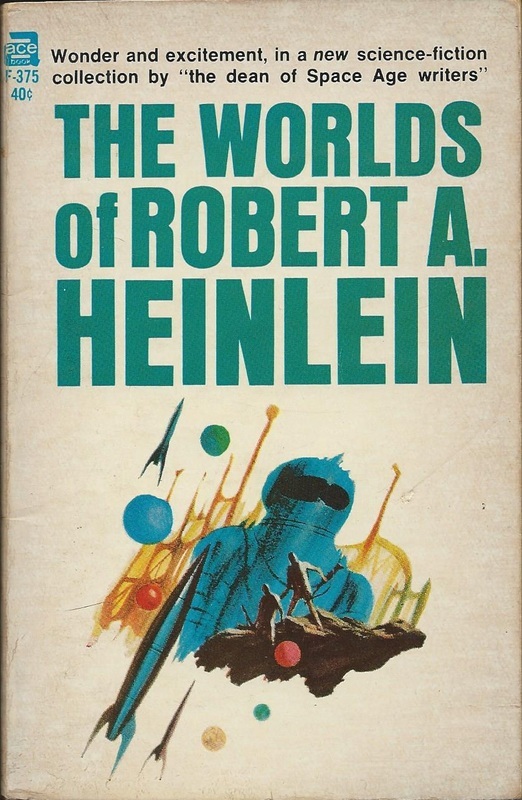 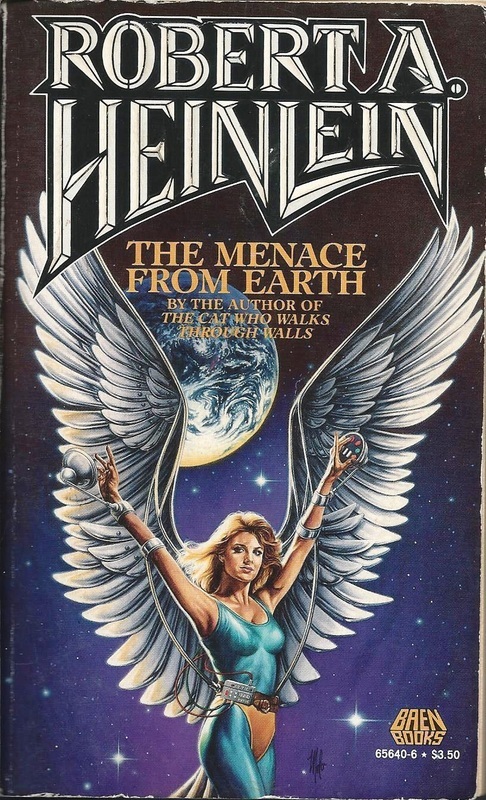 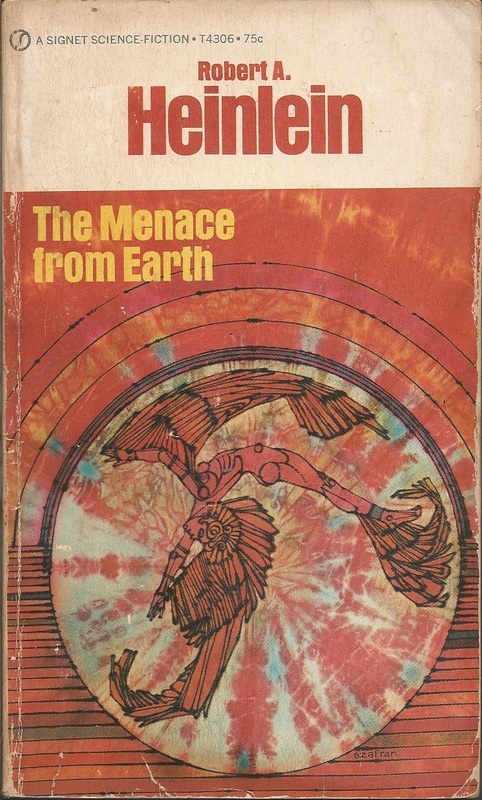 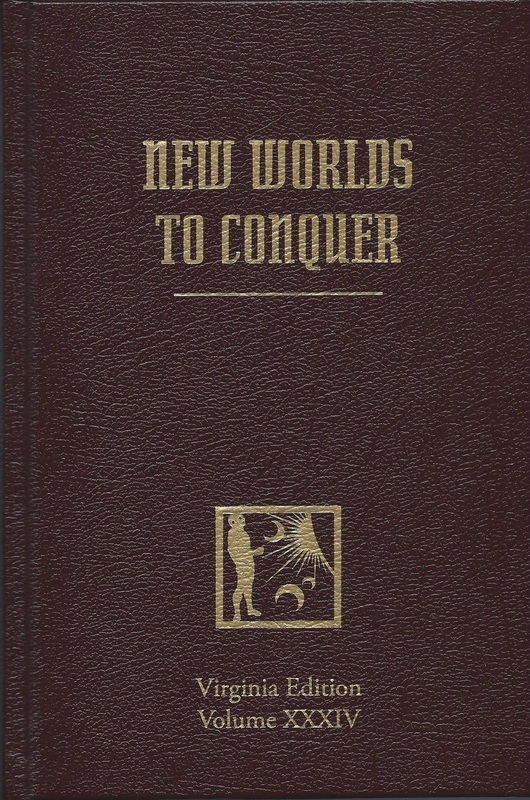 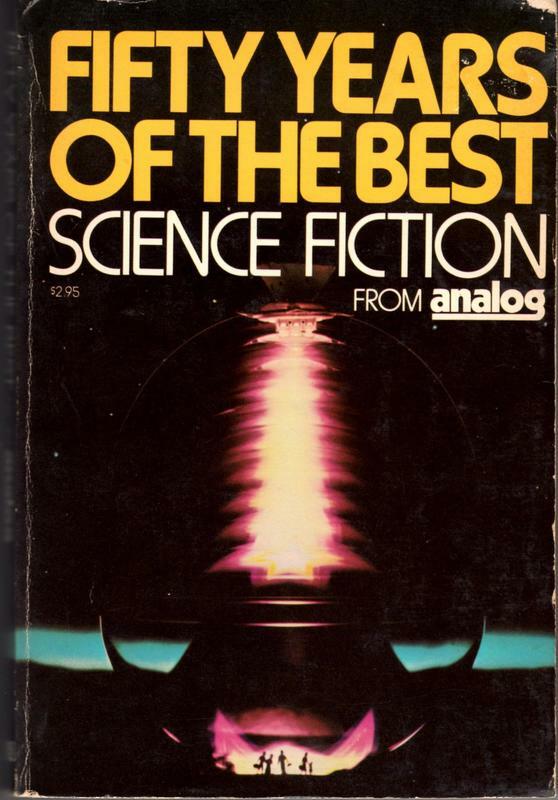 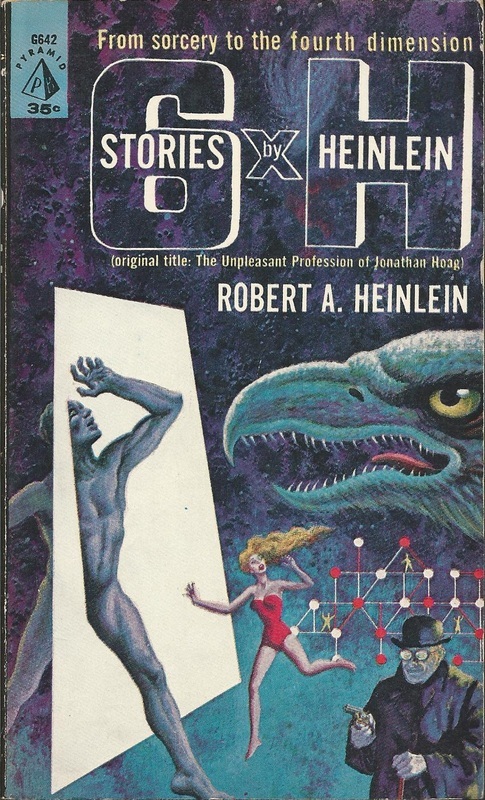 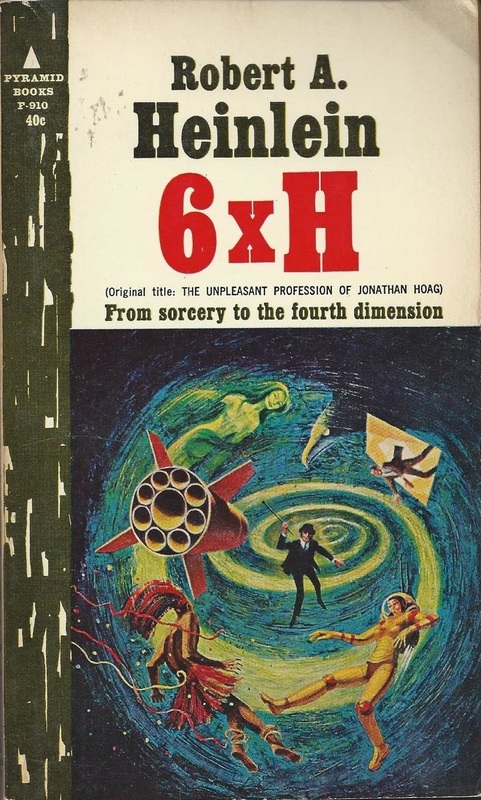 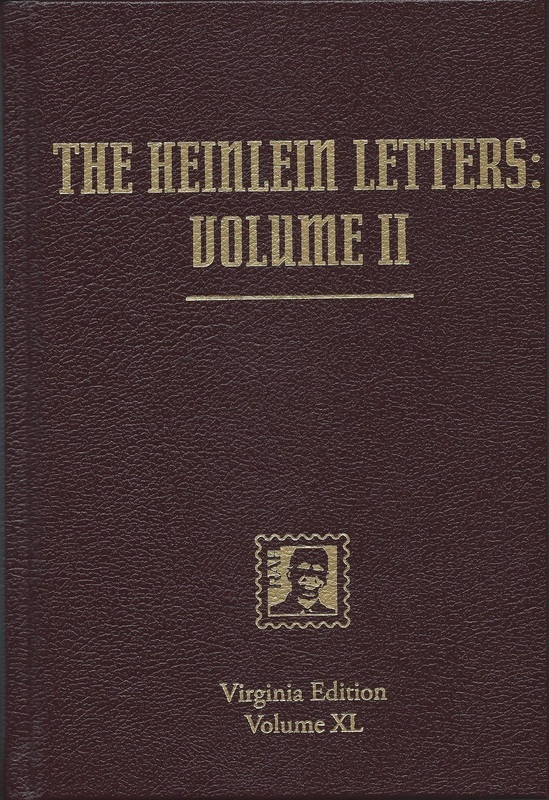 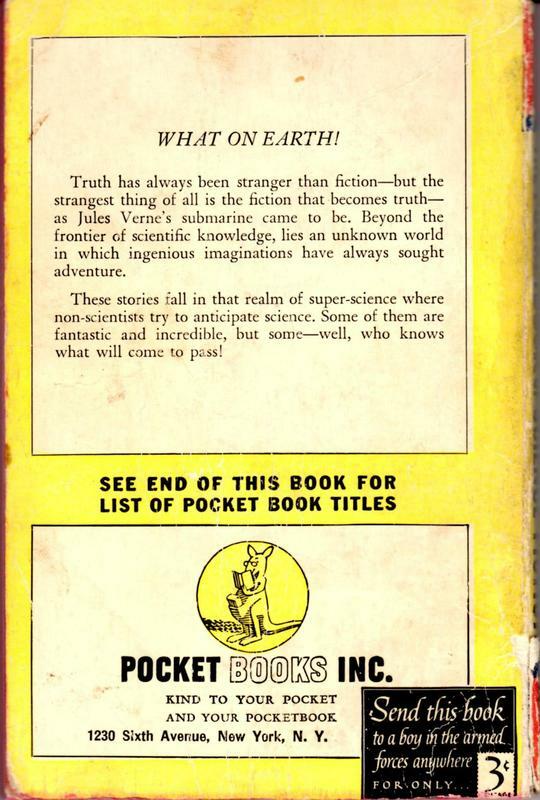 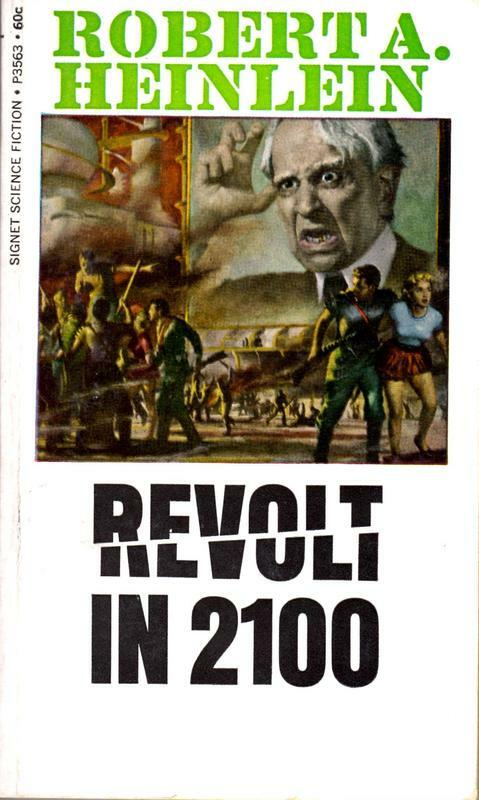 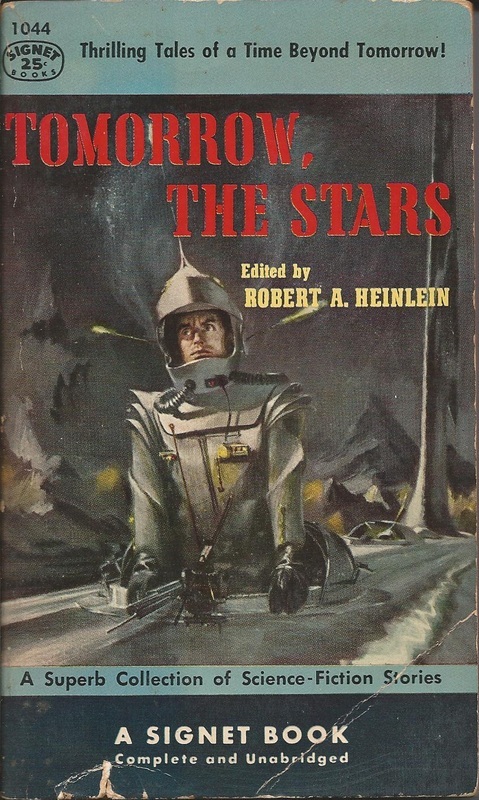 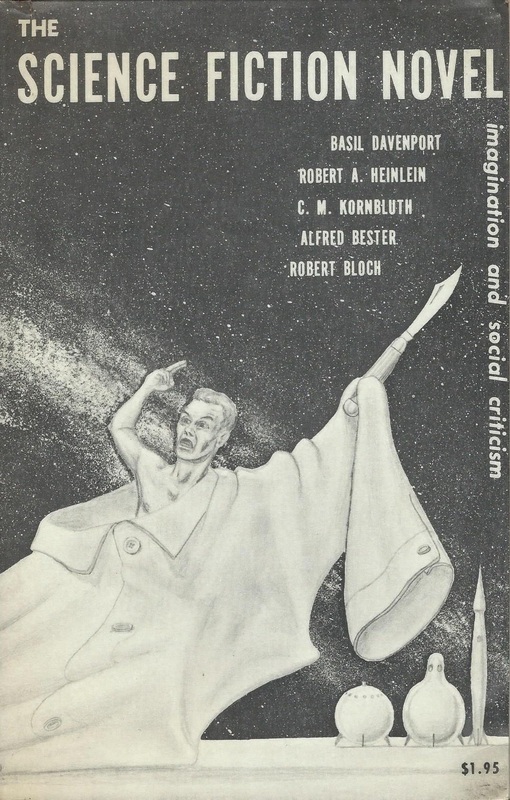 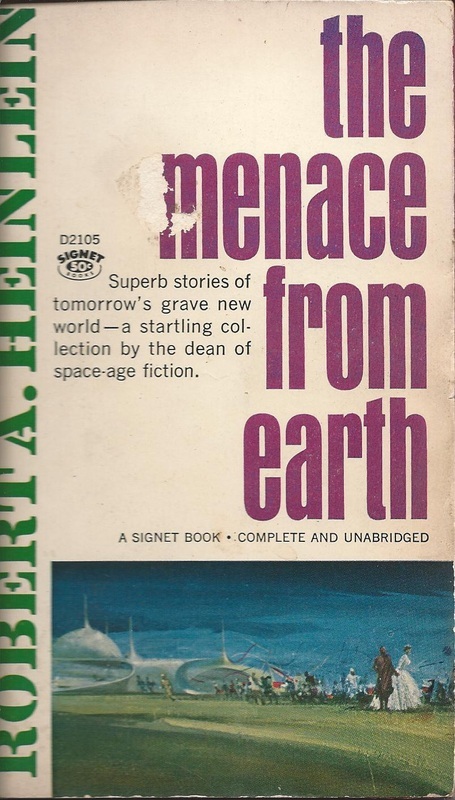 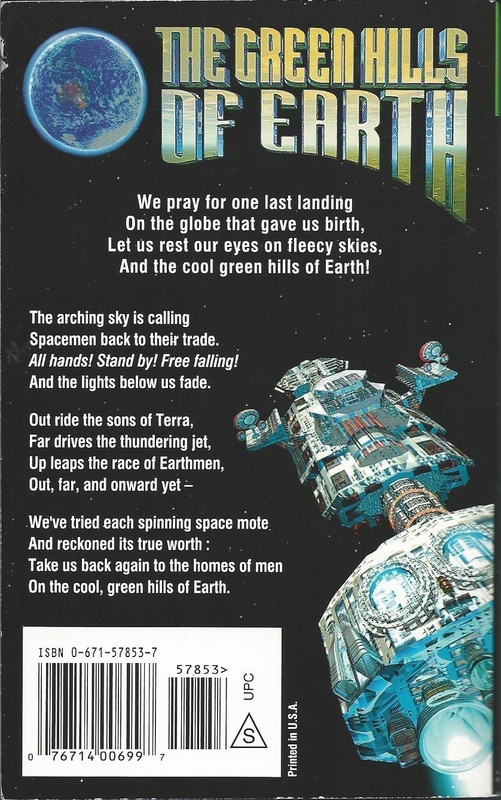 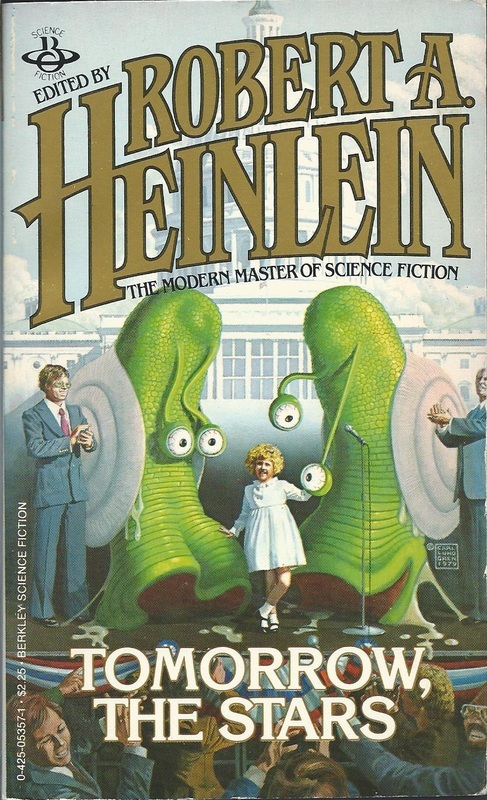 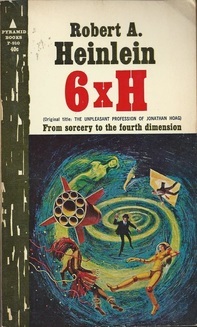 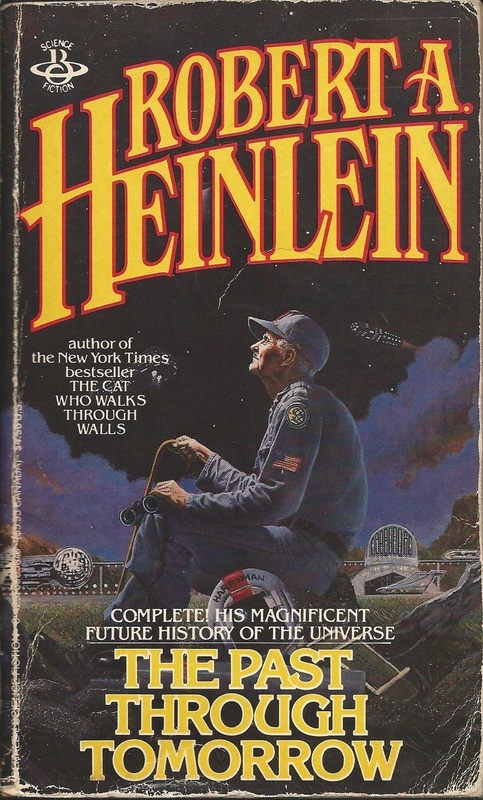 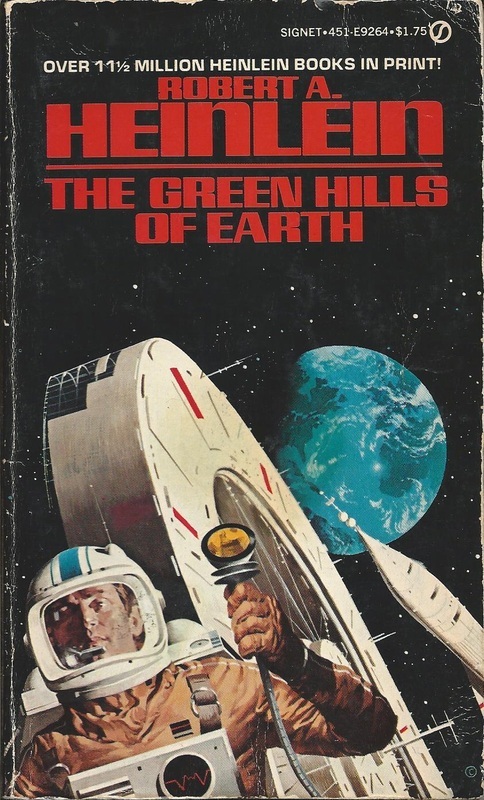 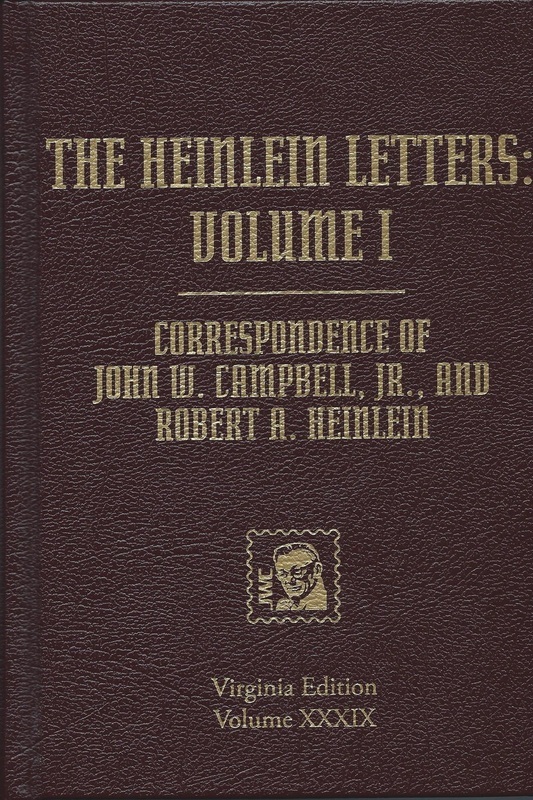 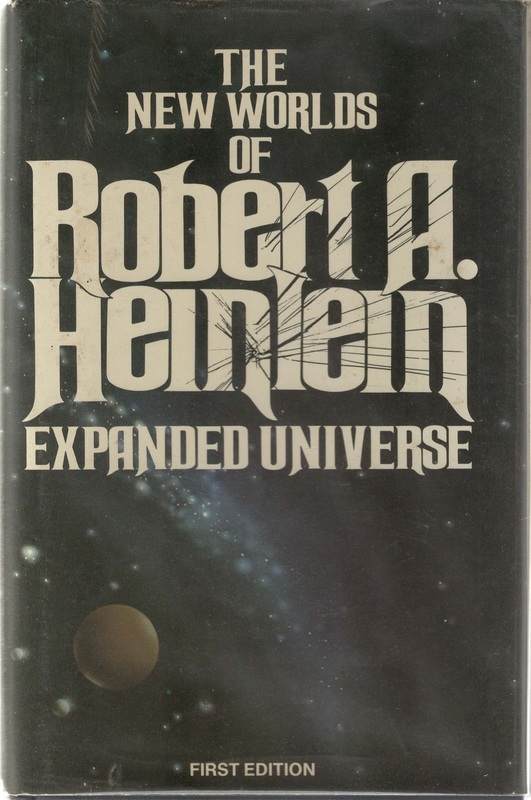 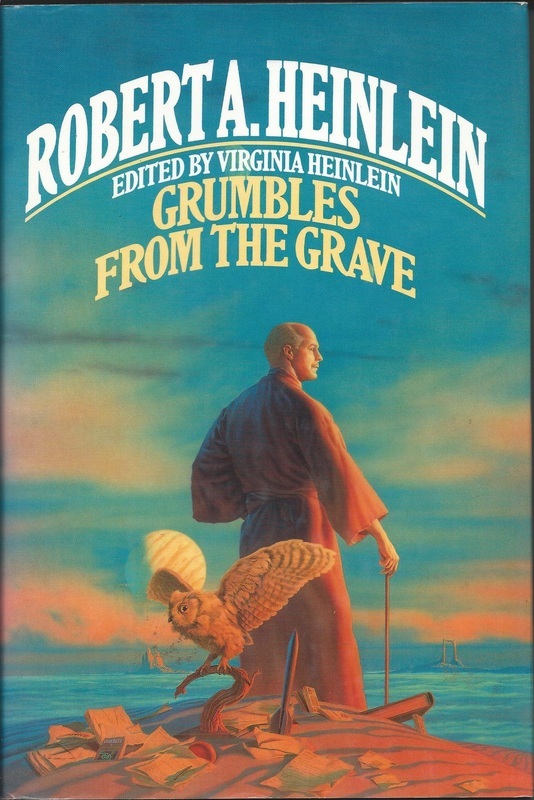 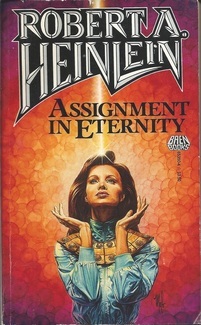 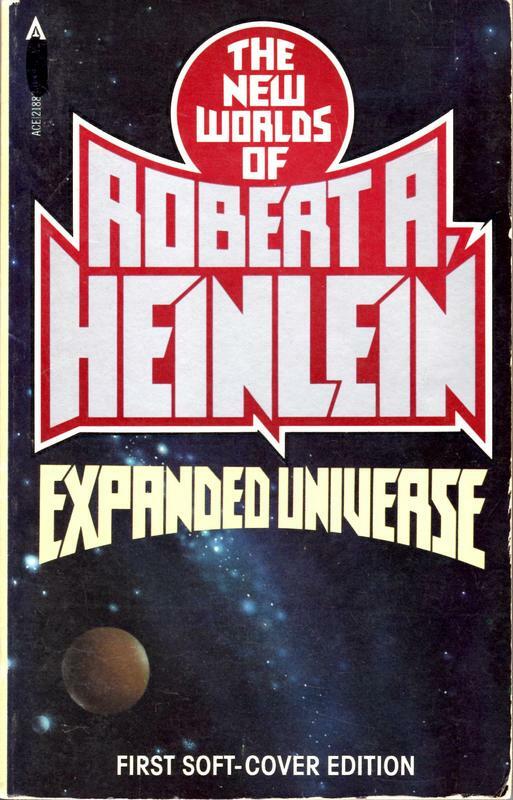 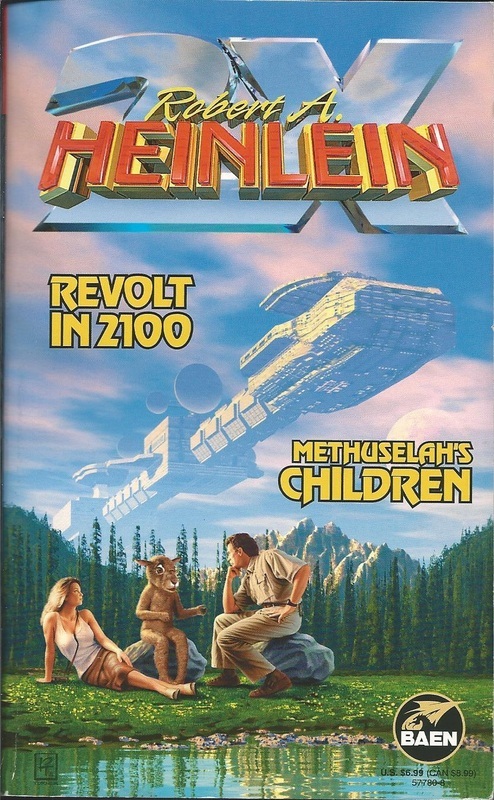 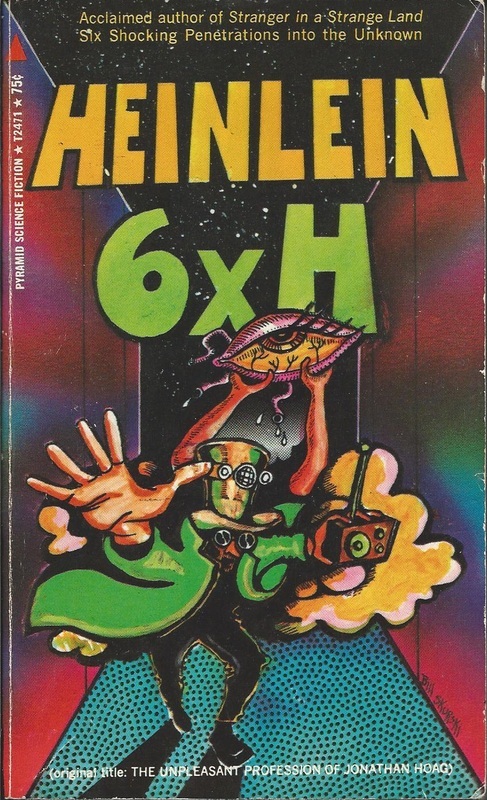 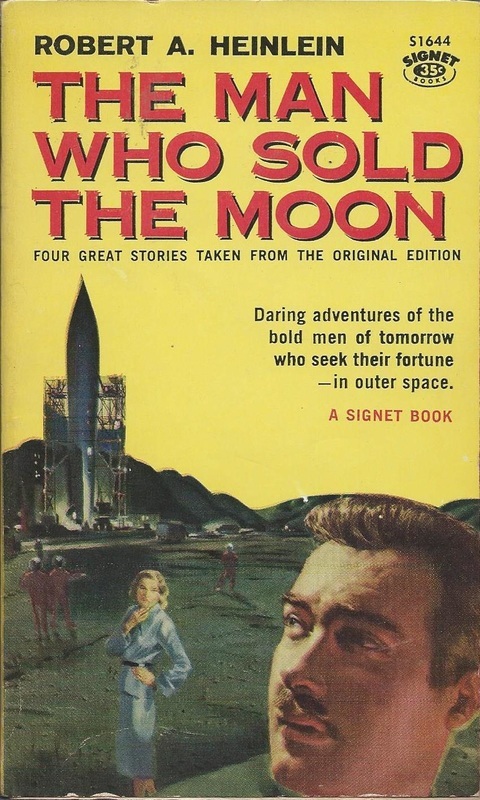 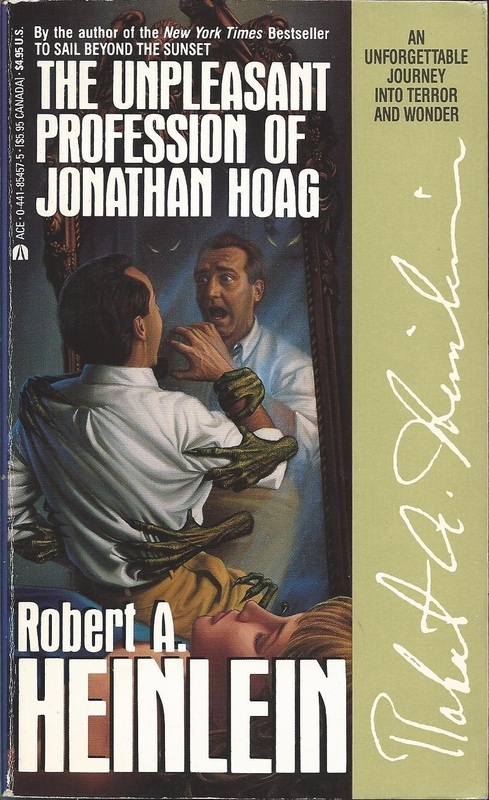 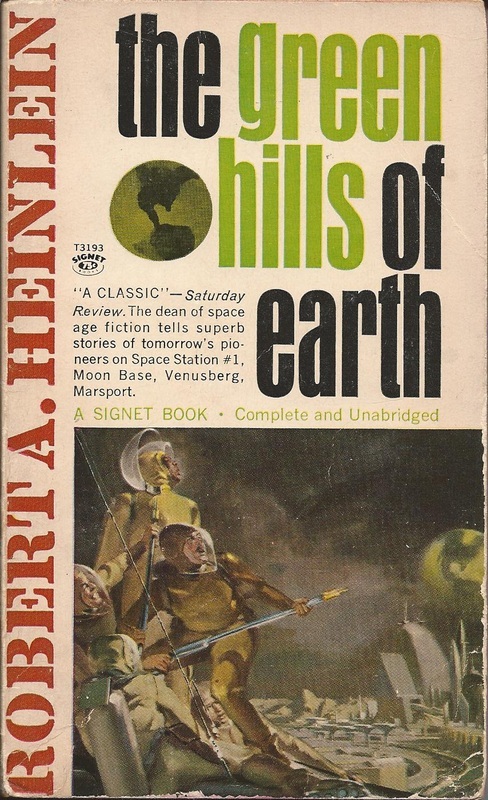 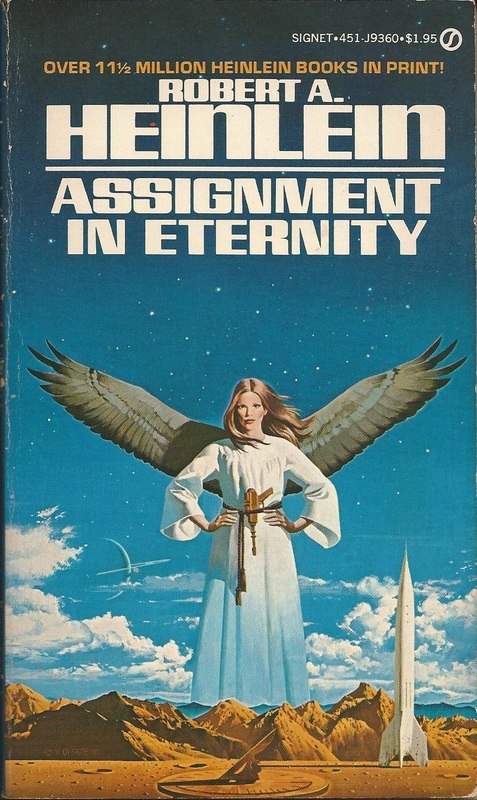 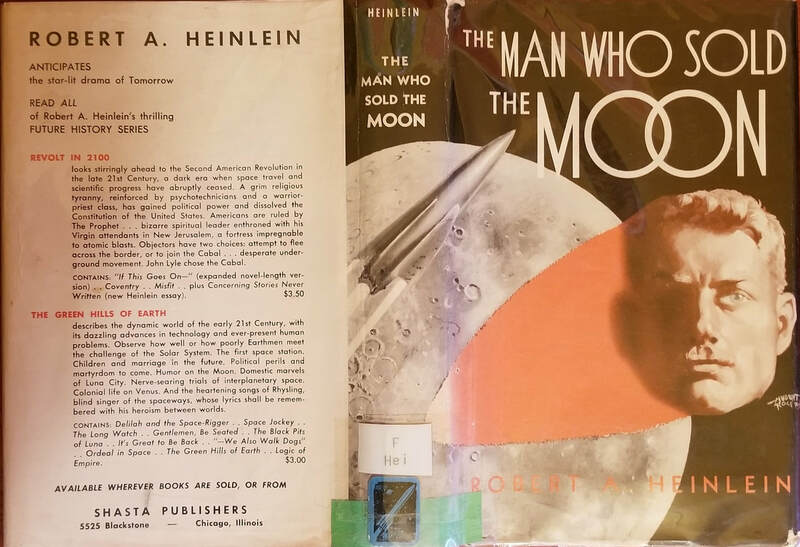 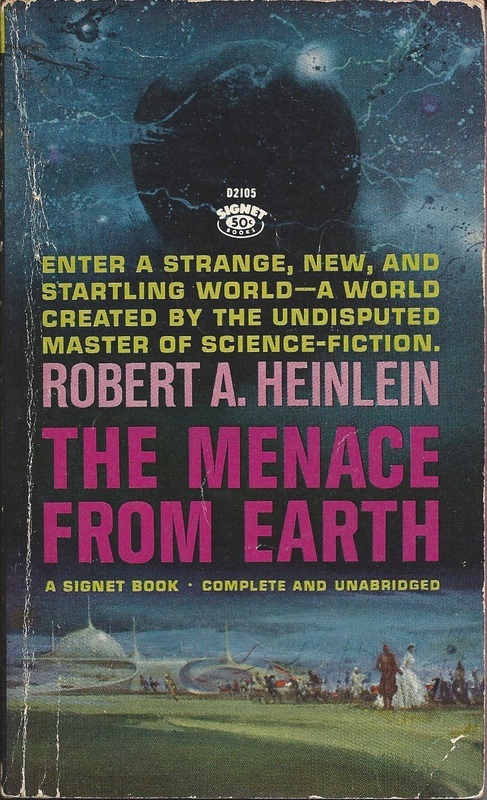 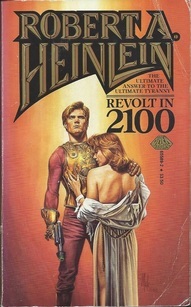 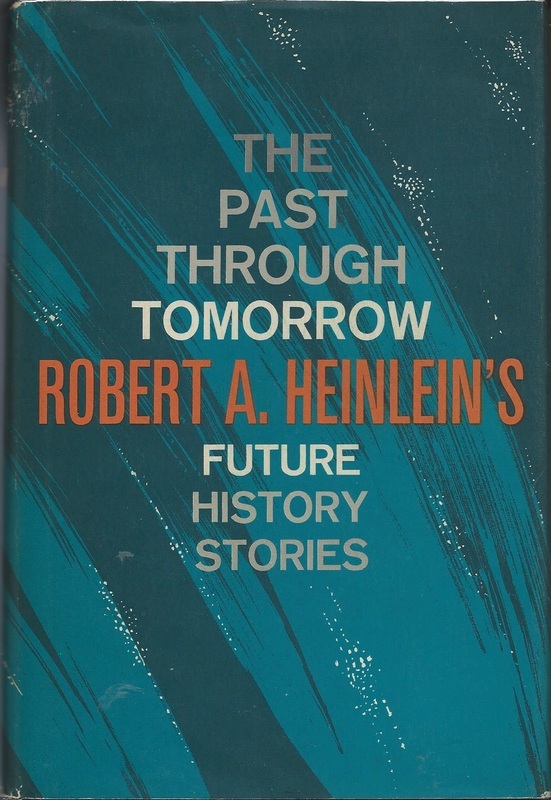 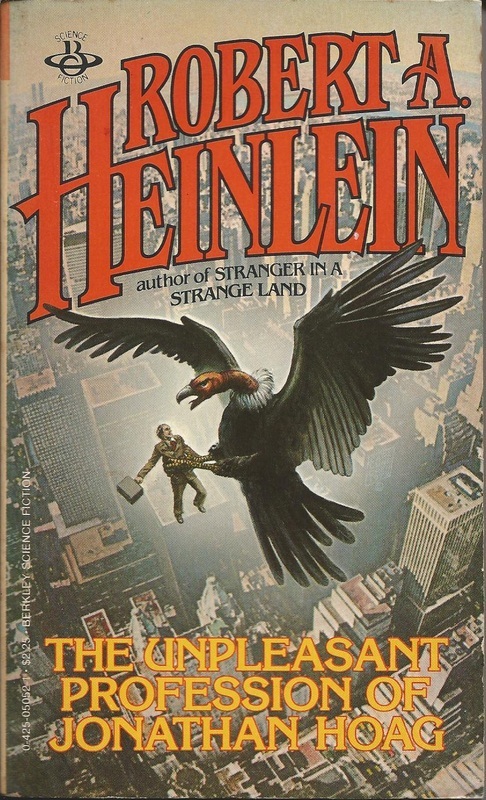 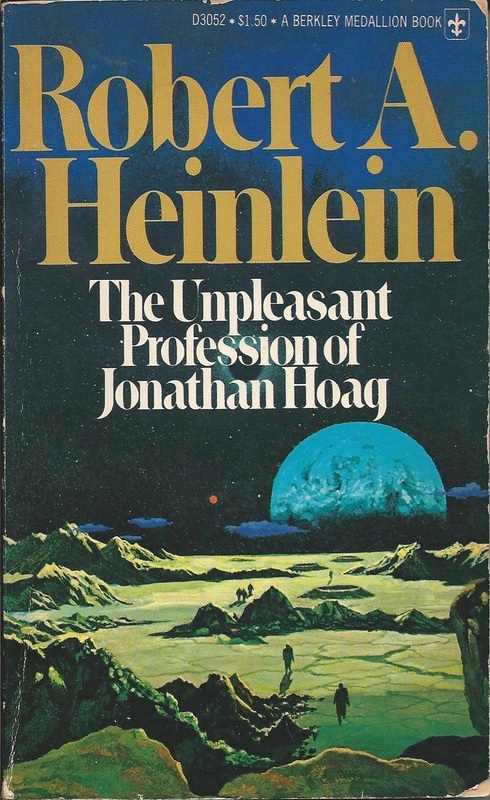 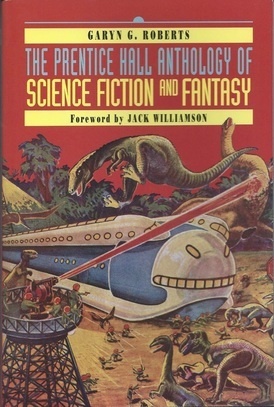 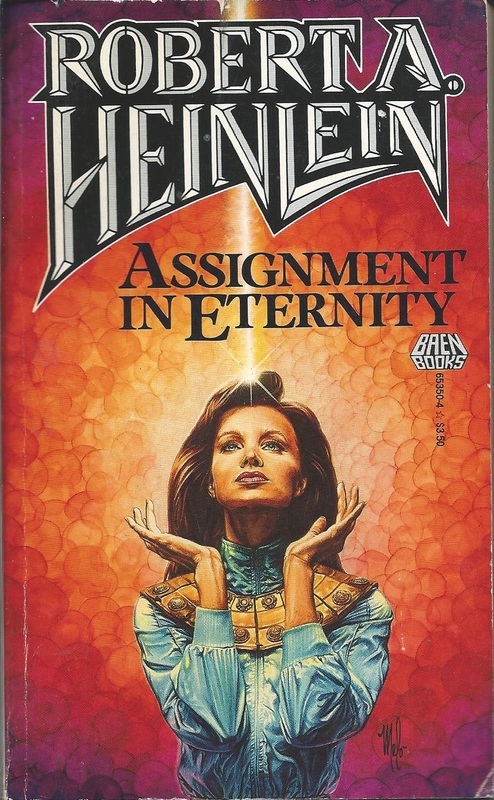 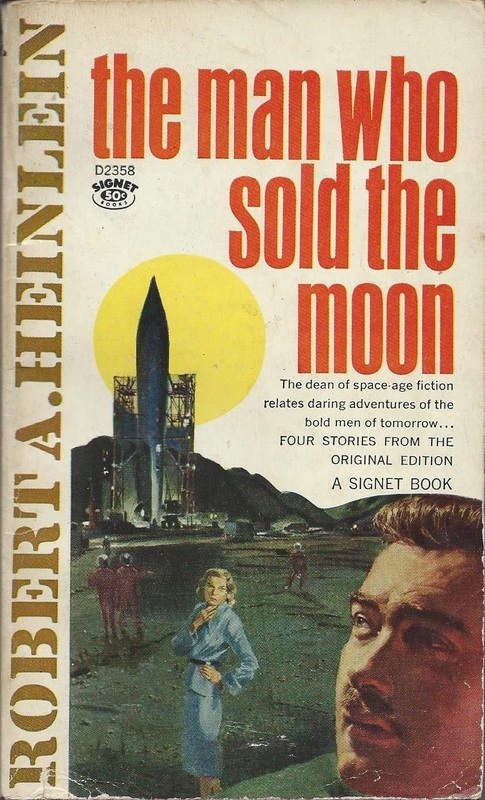 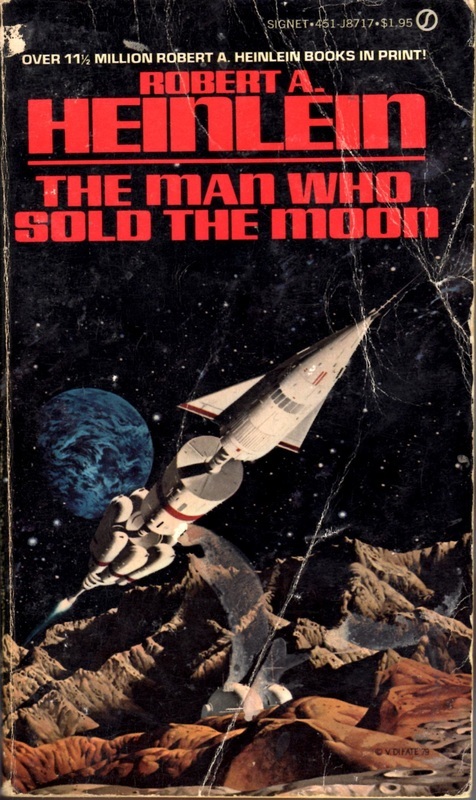 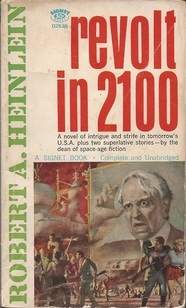 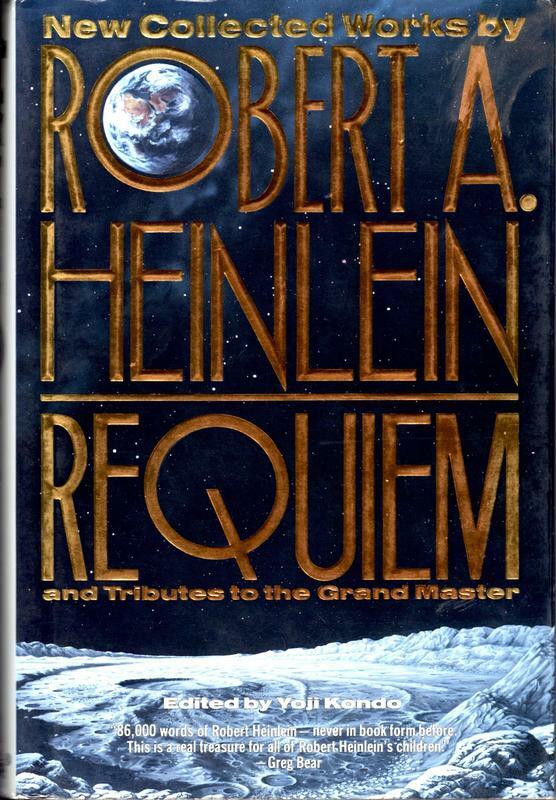 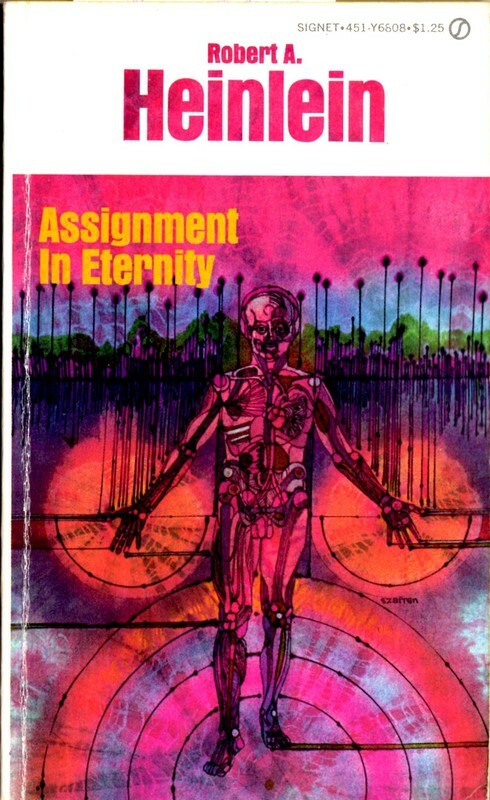 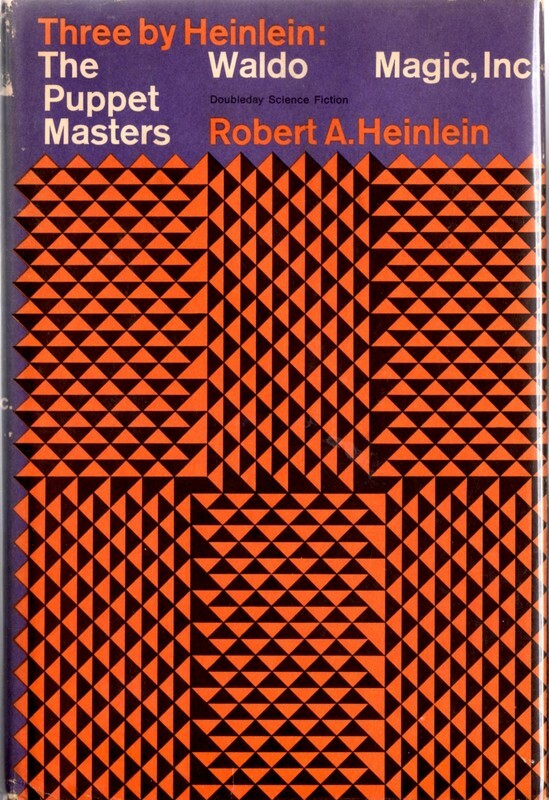 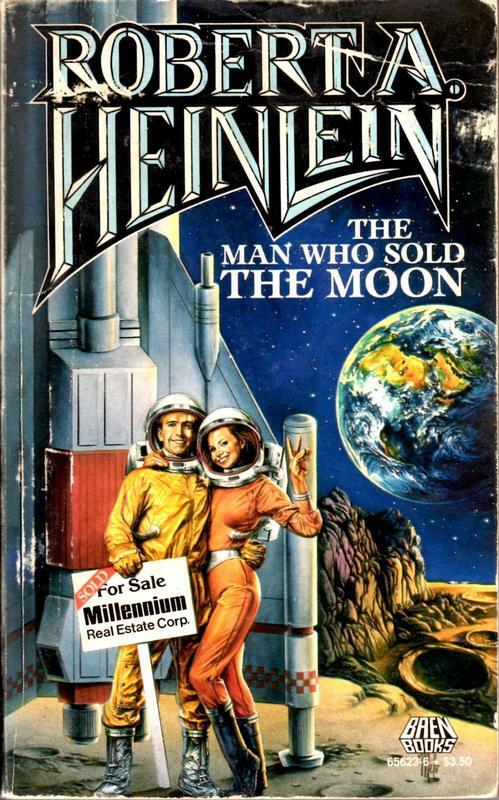 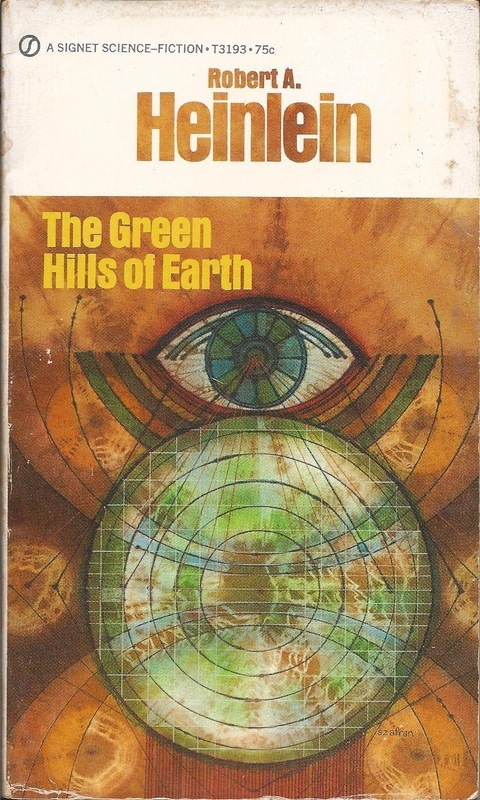 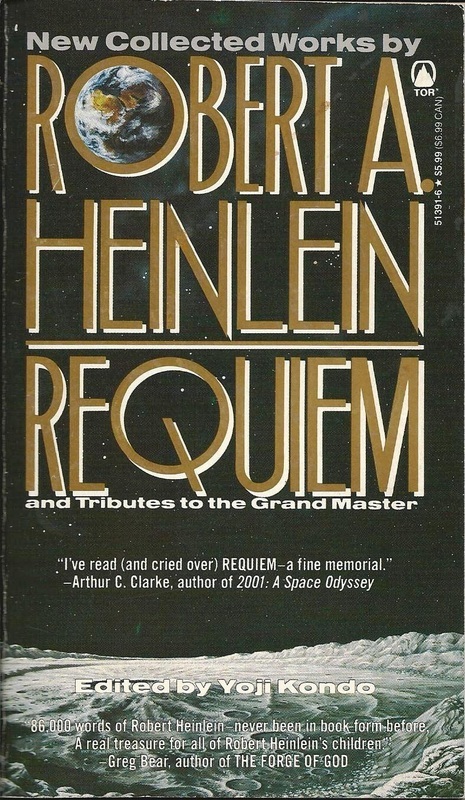 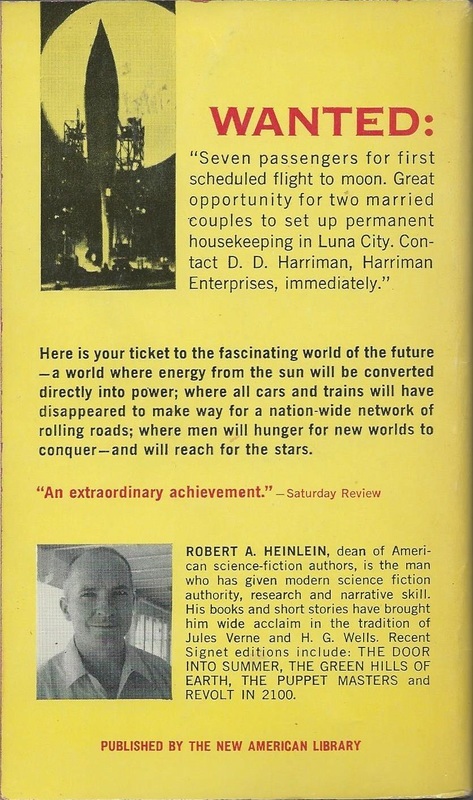 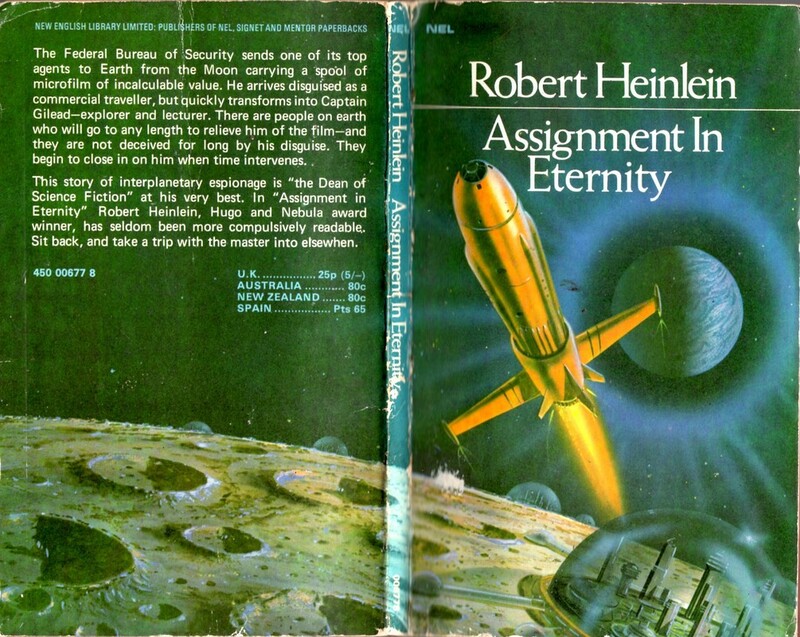 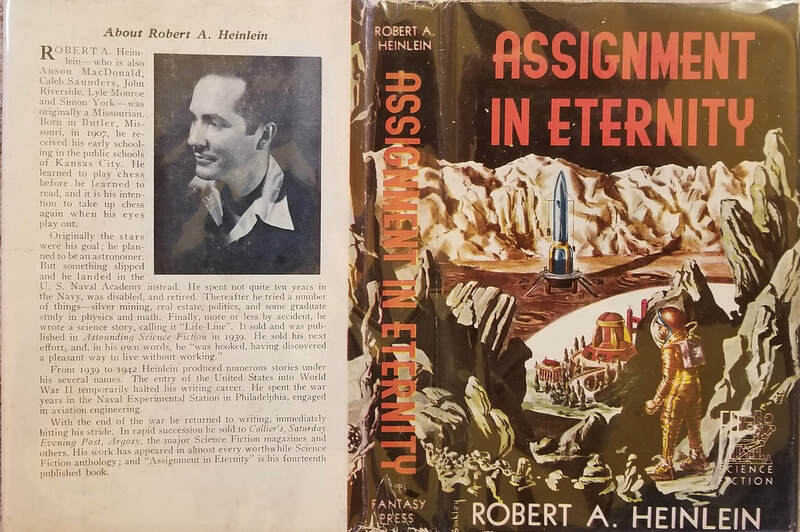 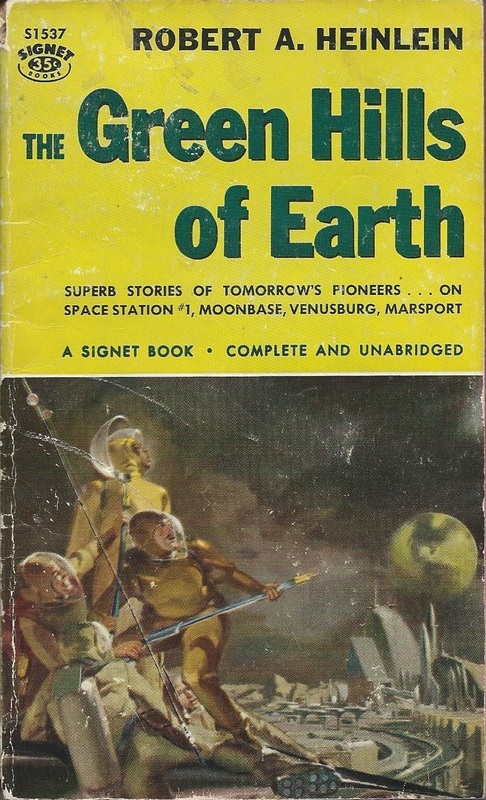 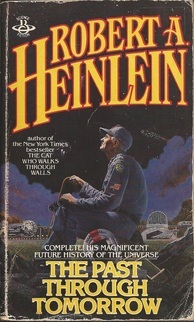 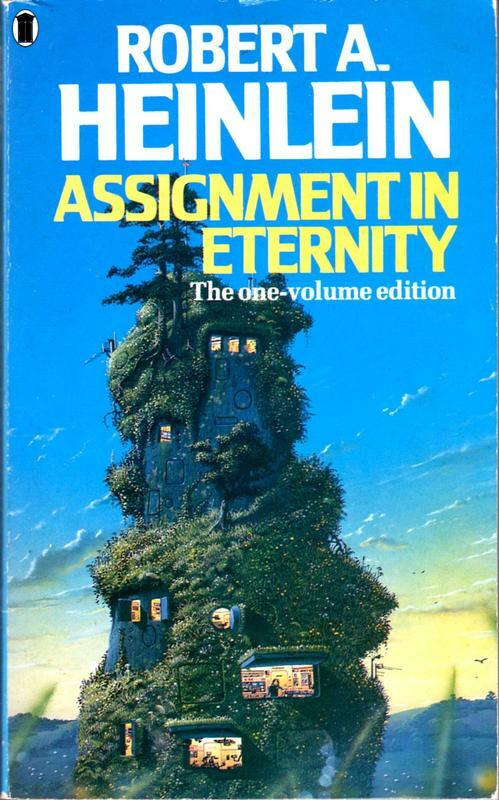 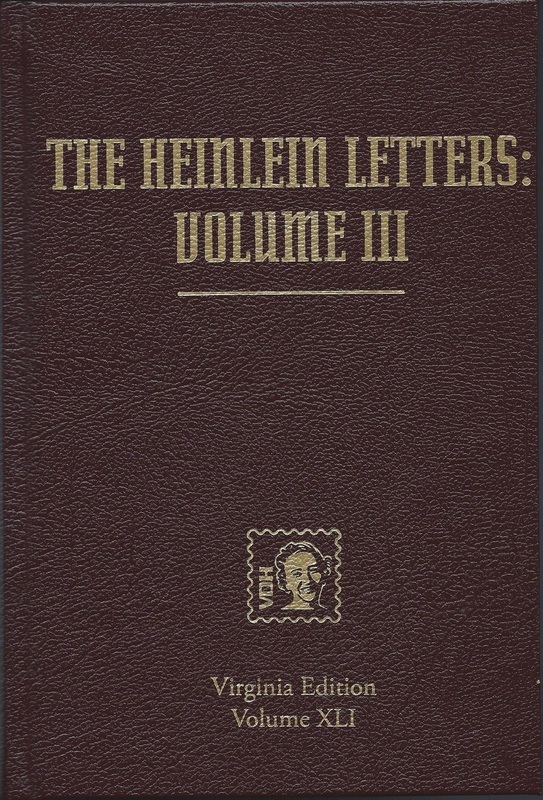 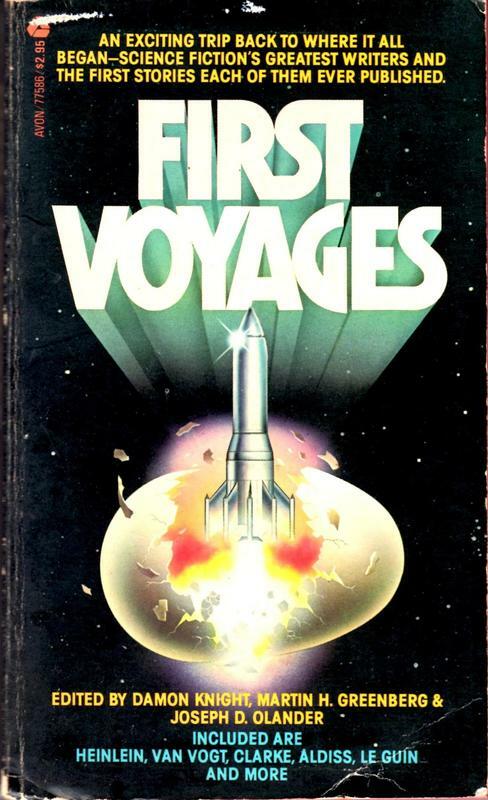 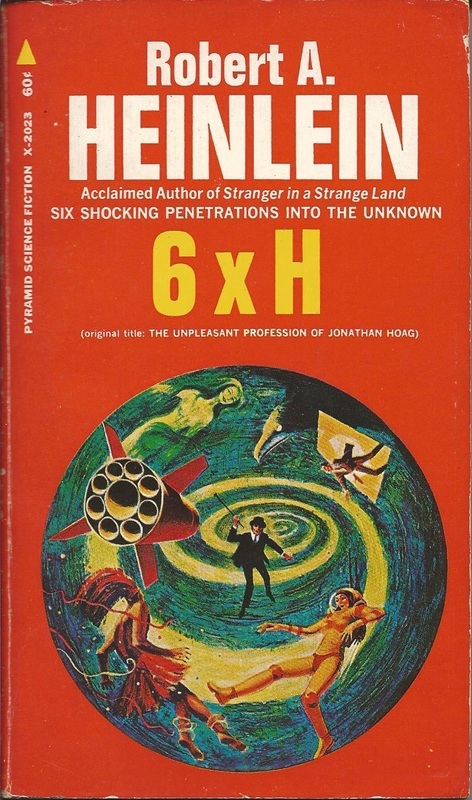 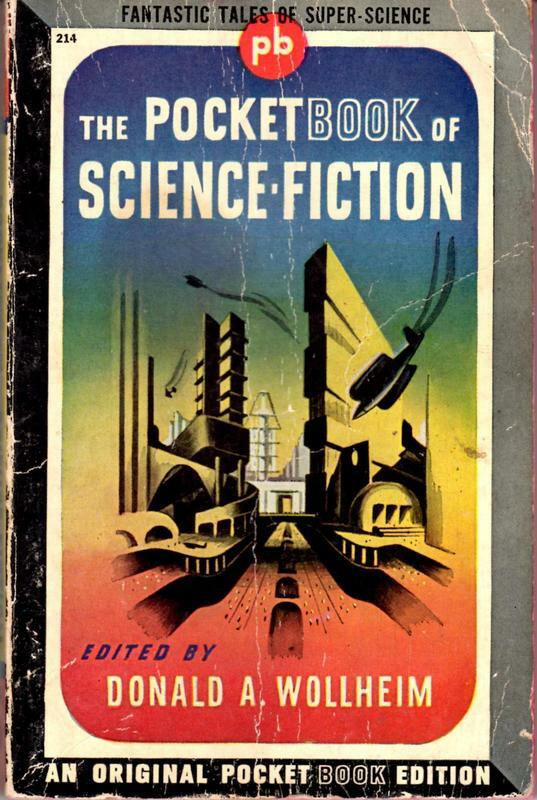 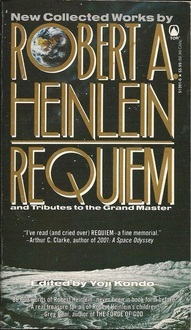 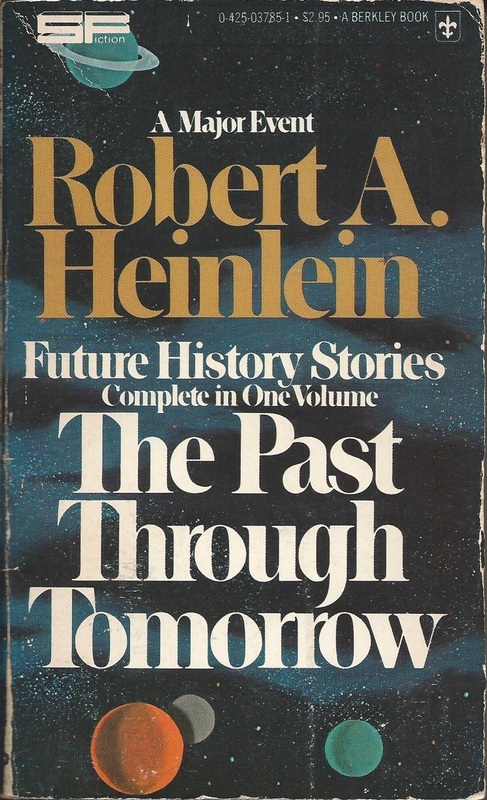 Heinlein was only the editor of this collection rather than author—very quaint cover art on this edition, however. 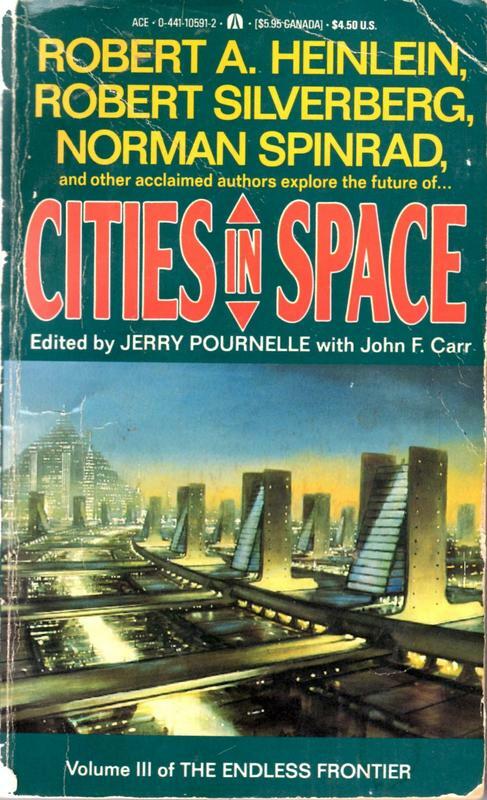 Note overhead building-to-building ramps and spacesuits—old-school SF illustration! 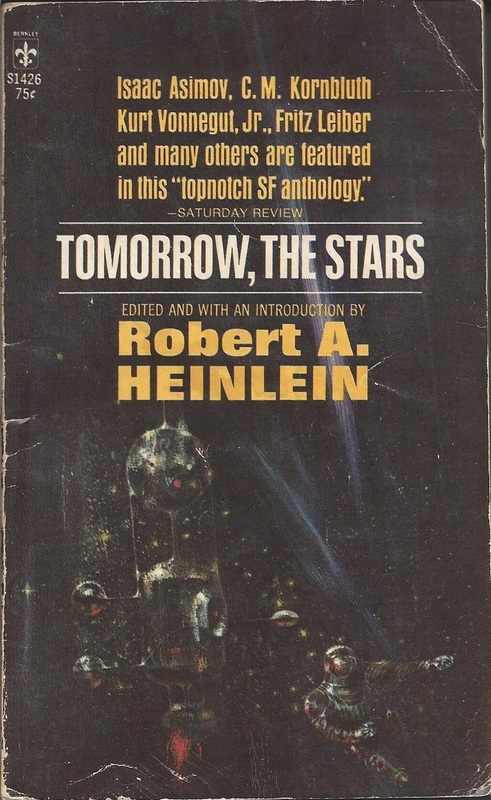 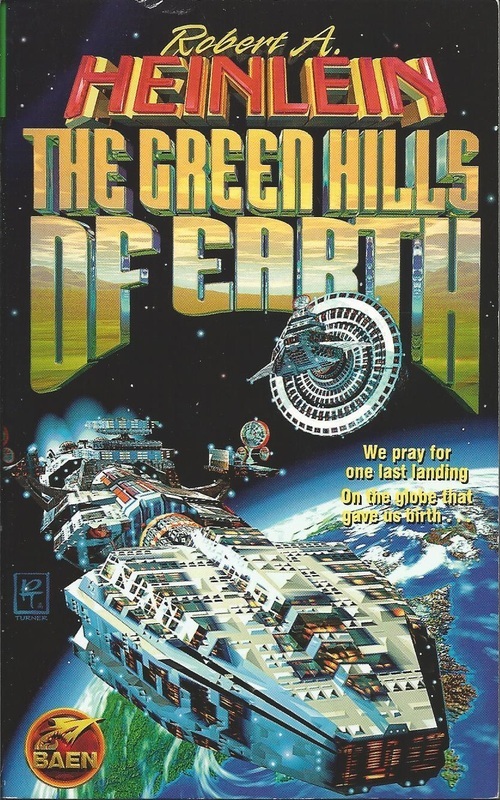 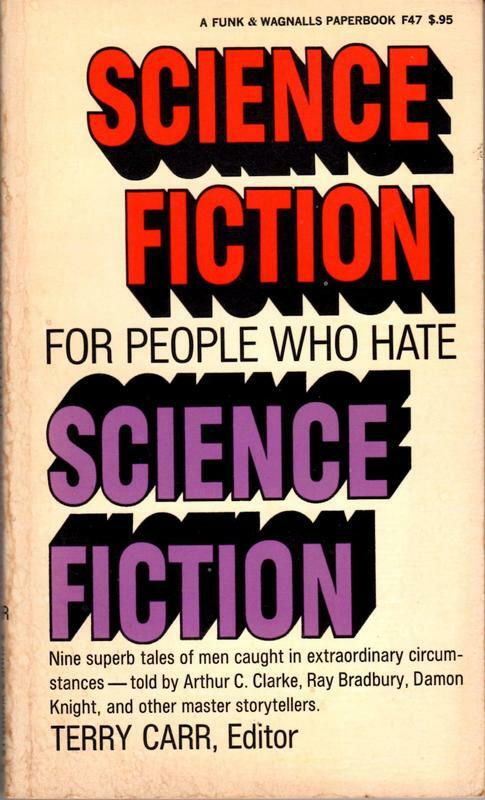 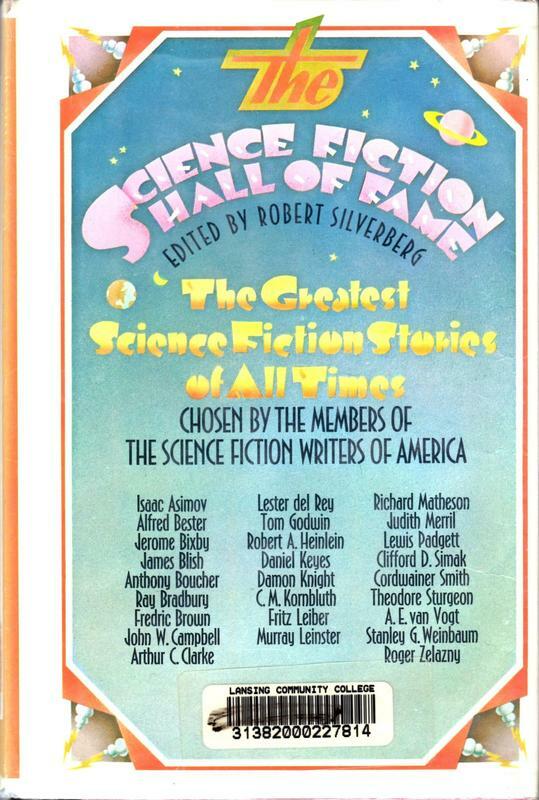 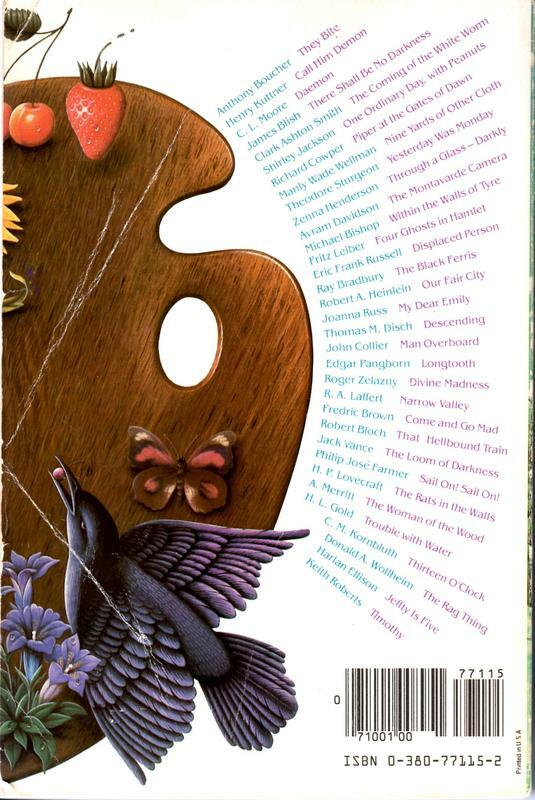 This collection of essays on SF is not solely Heinlein, of course, but he did write a bit over one-fifth of it. 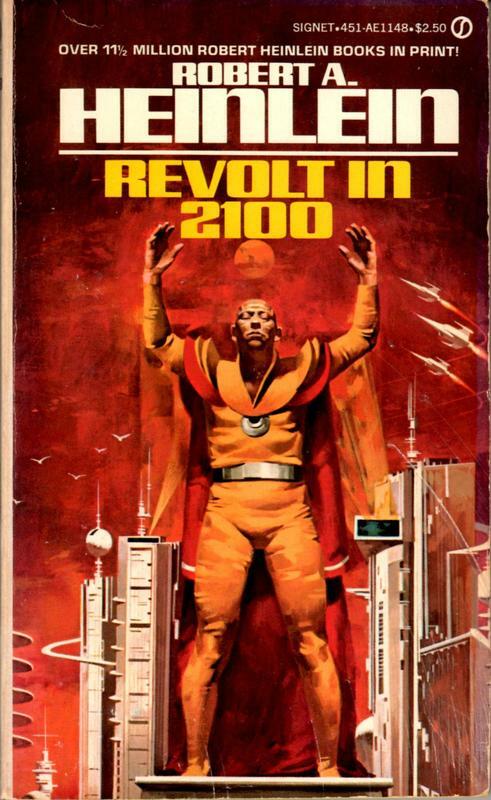 Nifty wild-eyed big-screen SF dictator rant in background!